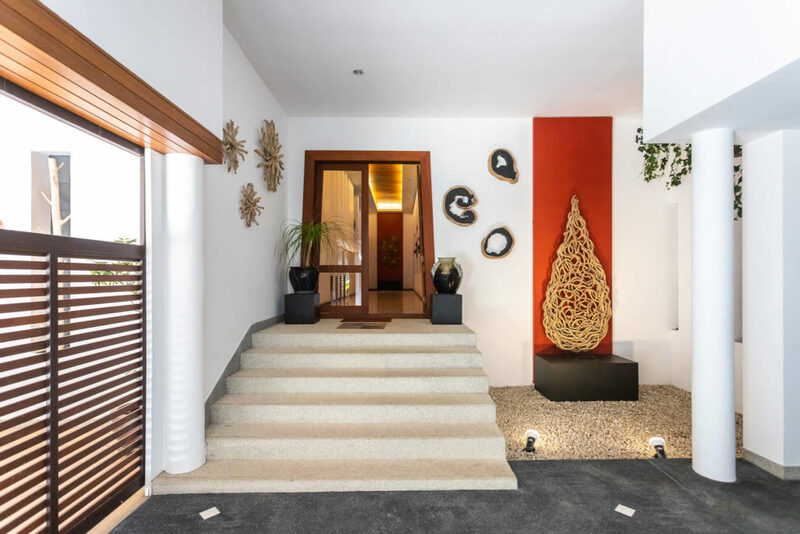 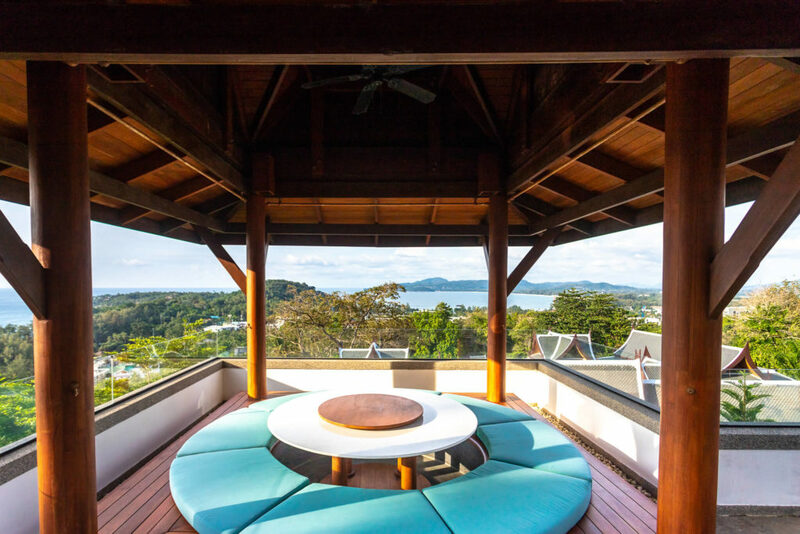 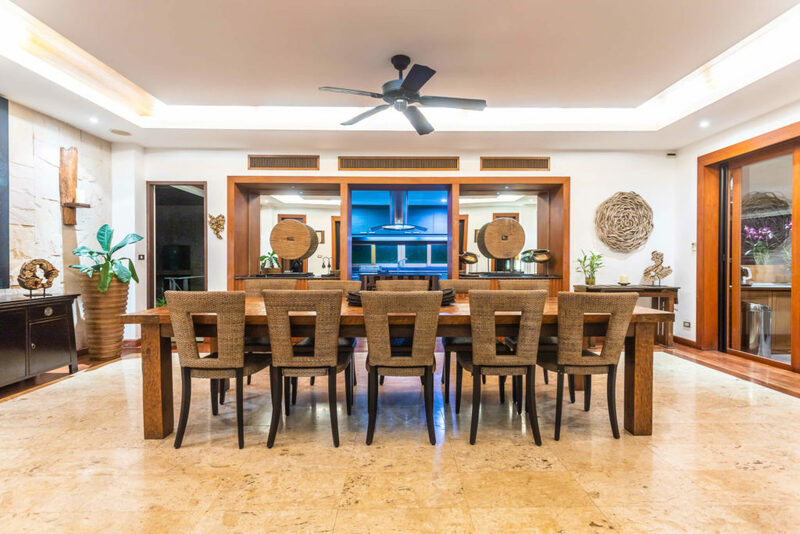 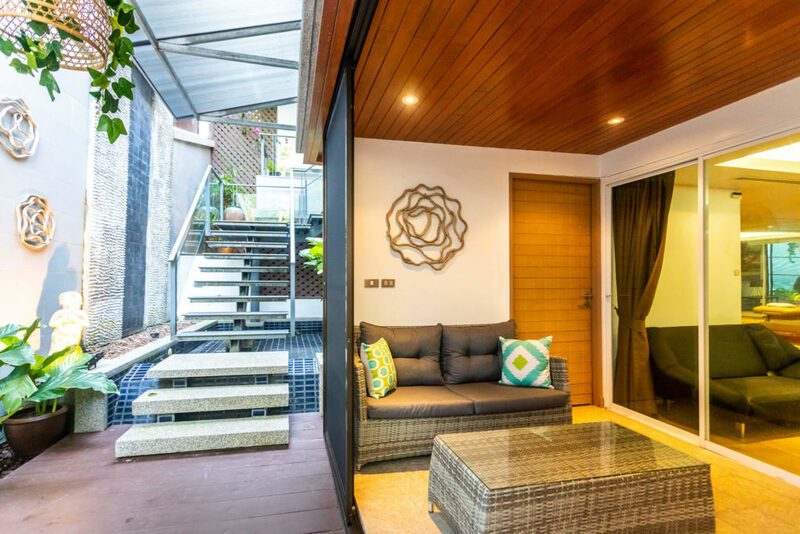 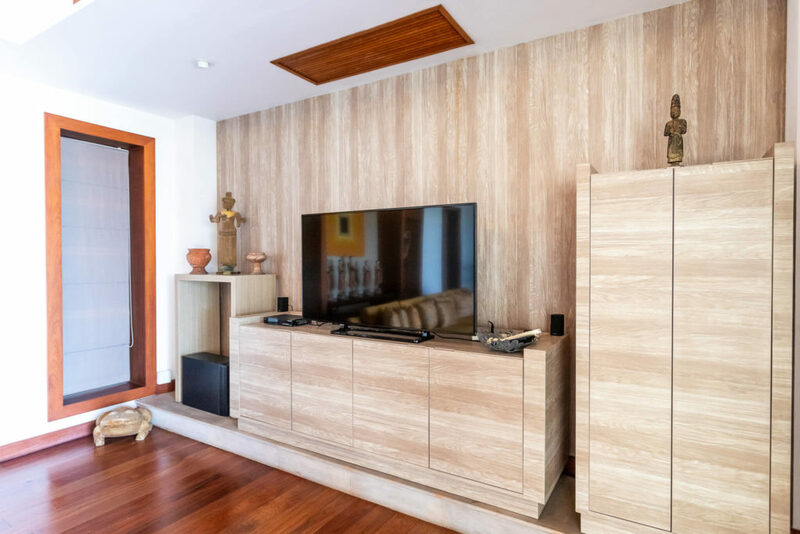 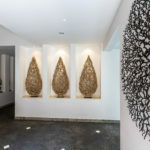 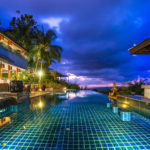 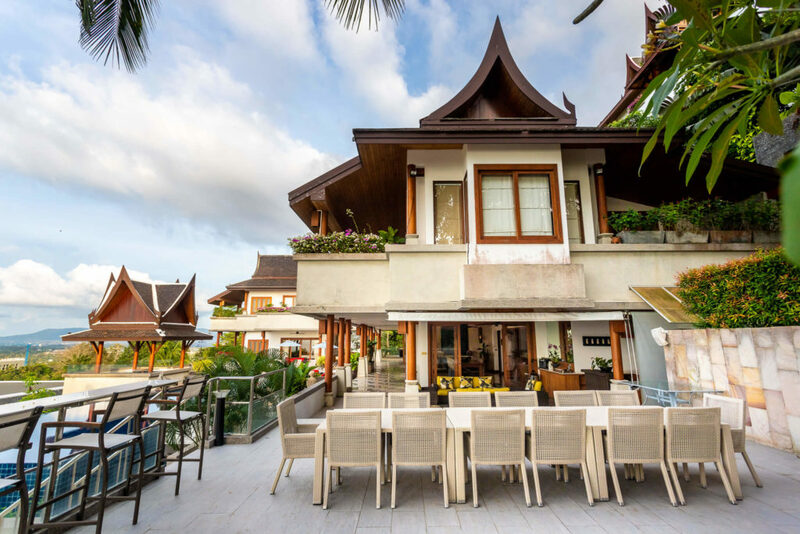 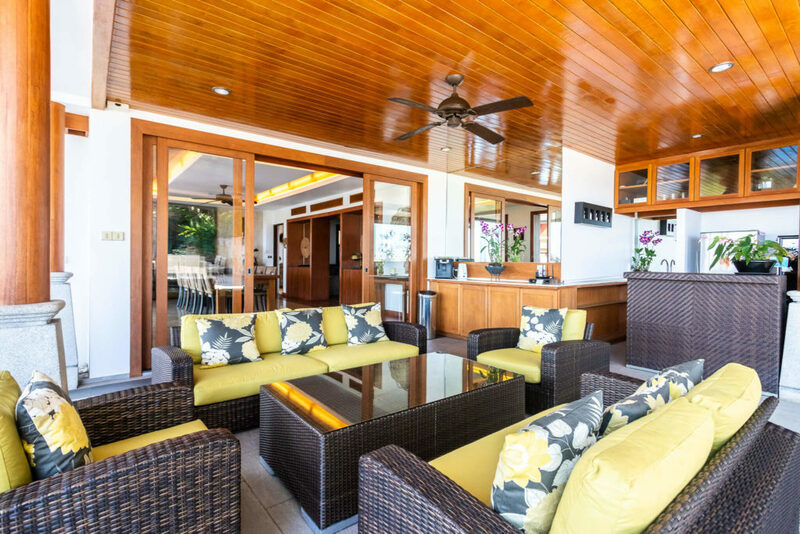 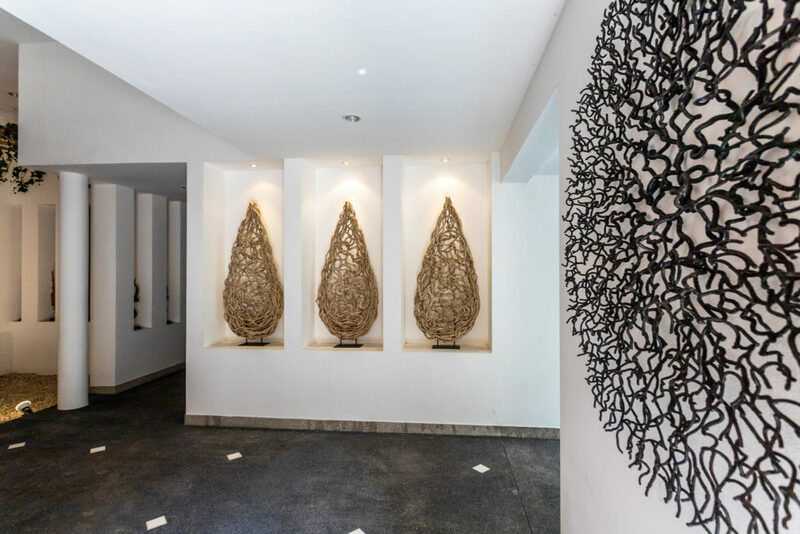 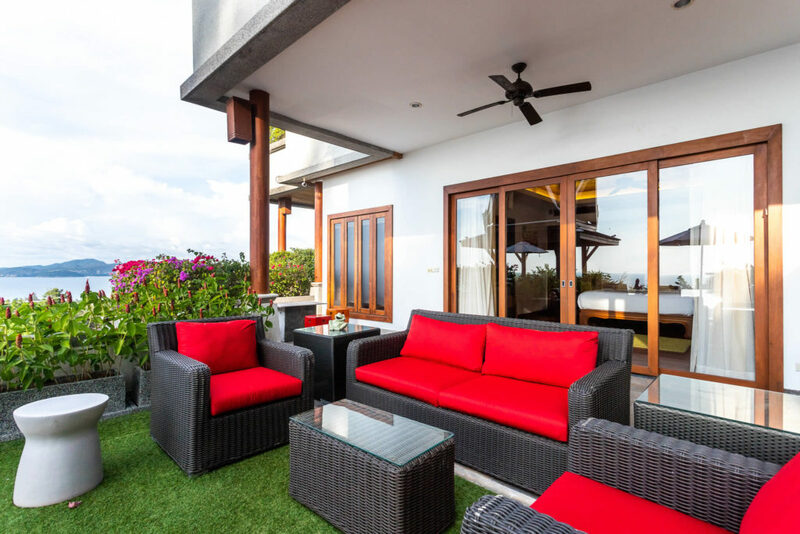 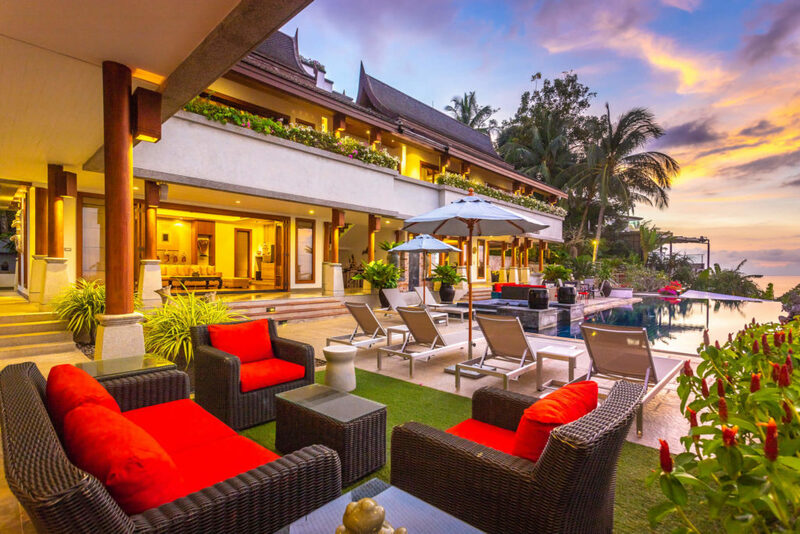 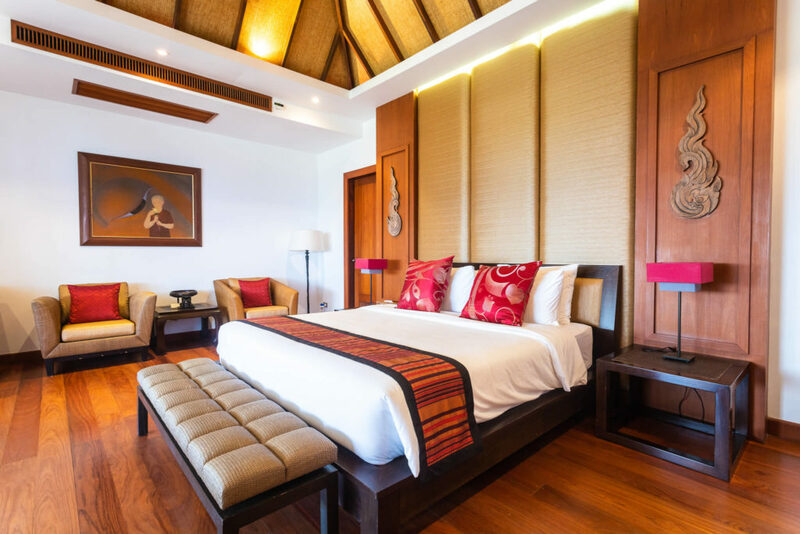 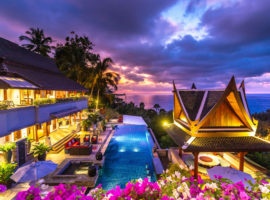 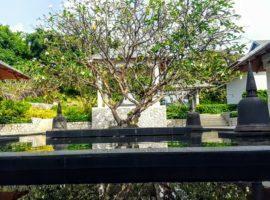 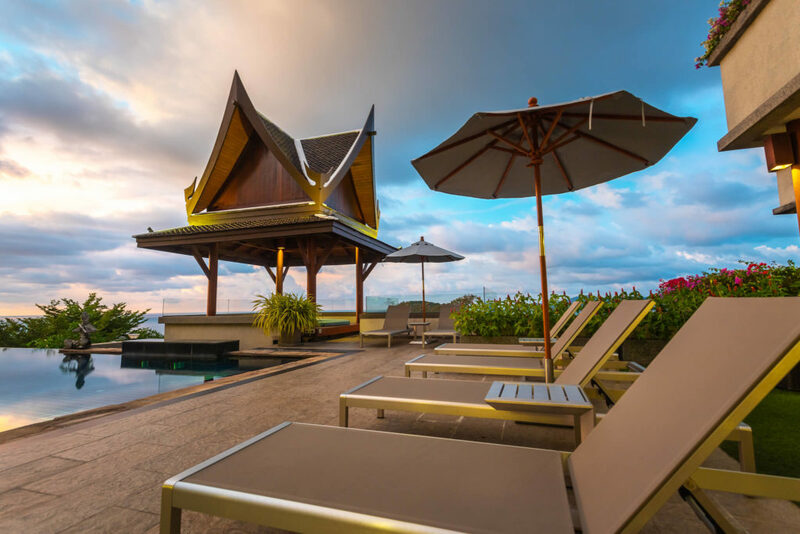 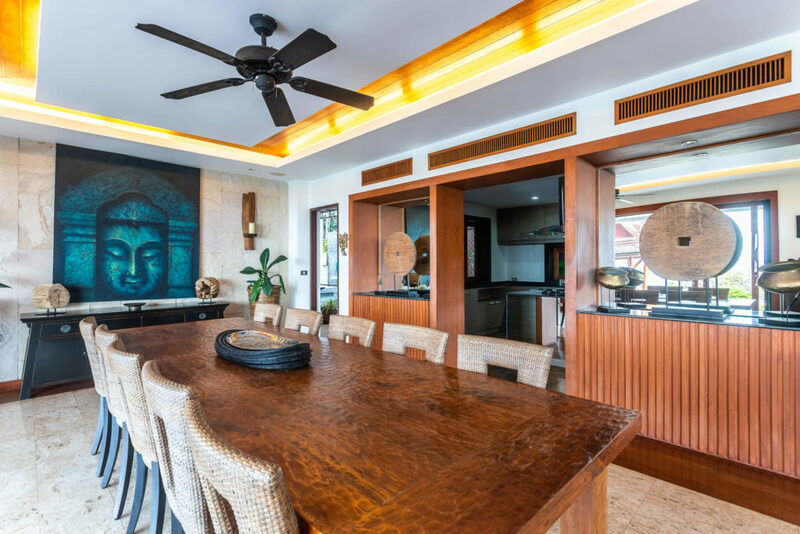 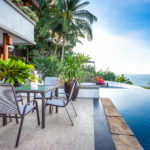 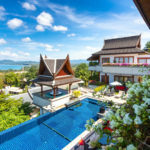 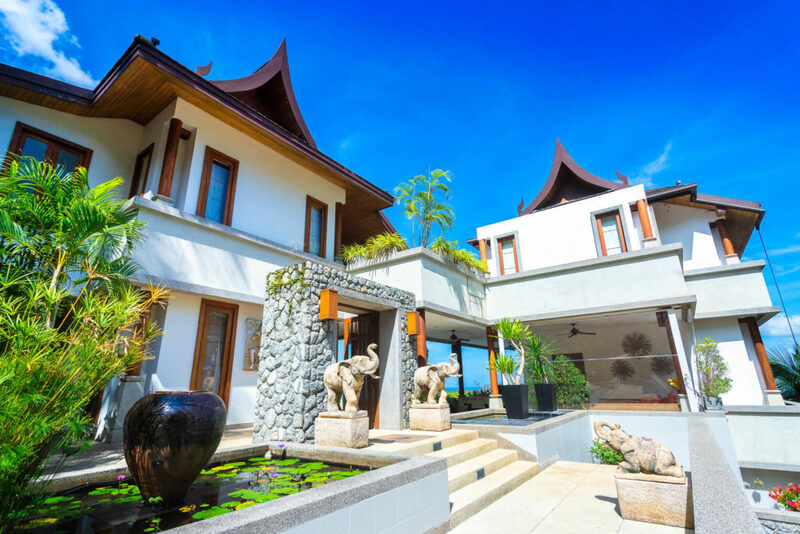 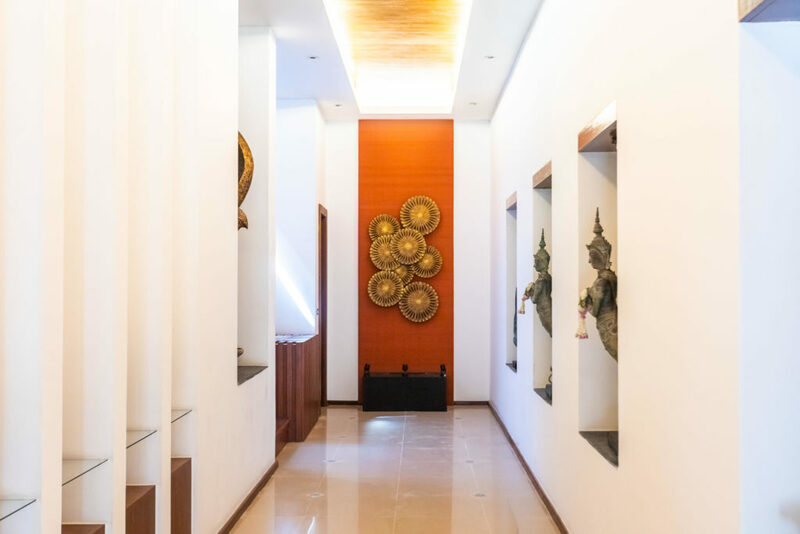 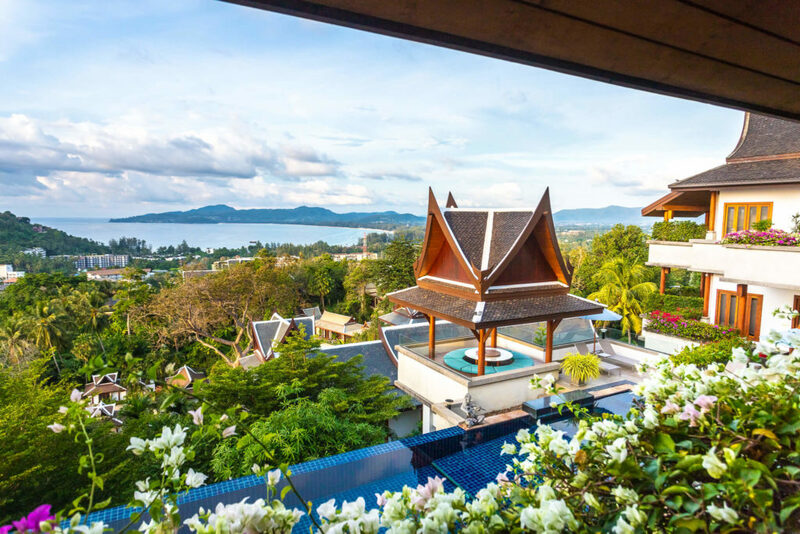 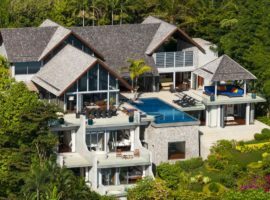 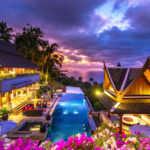 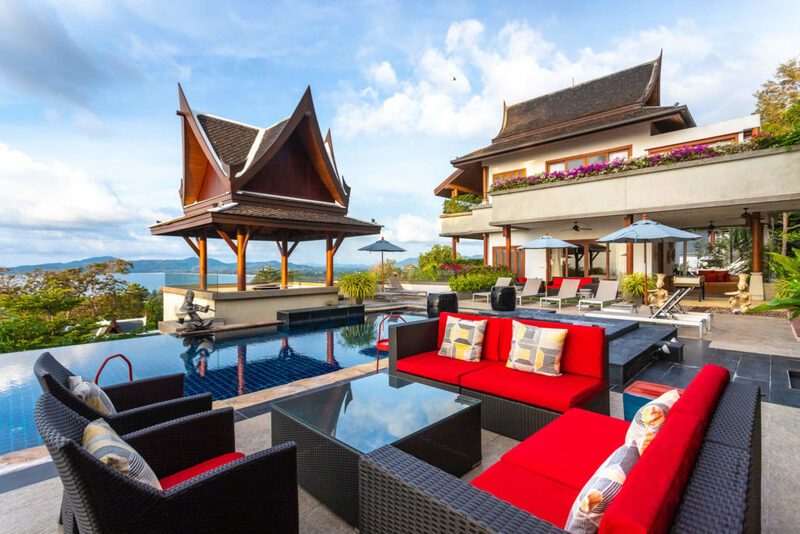 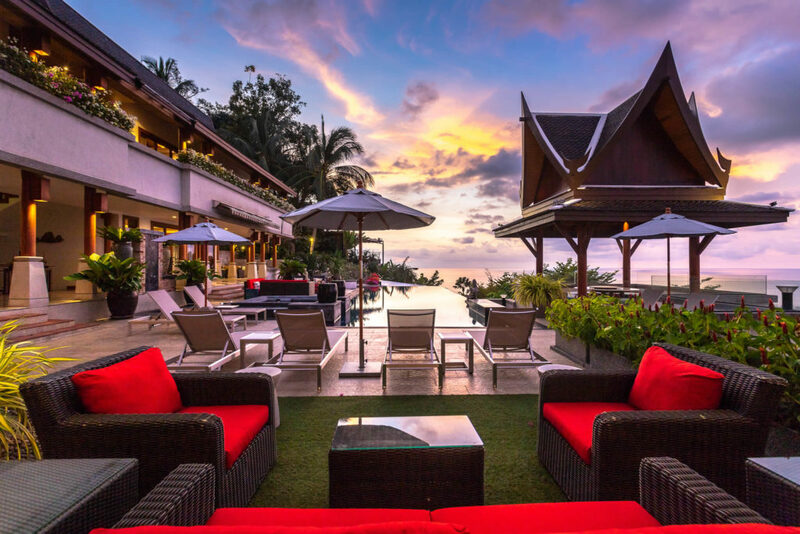 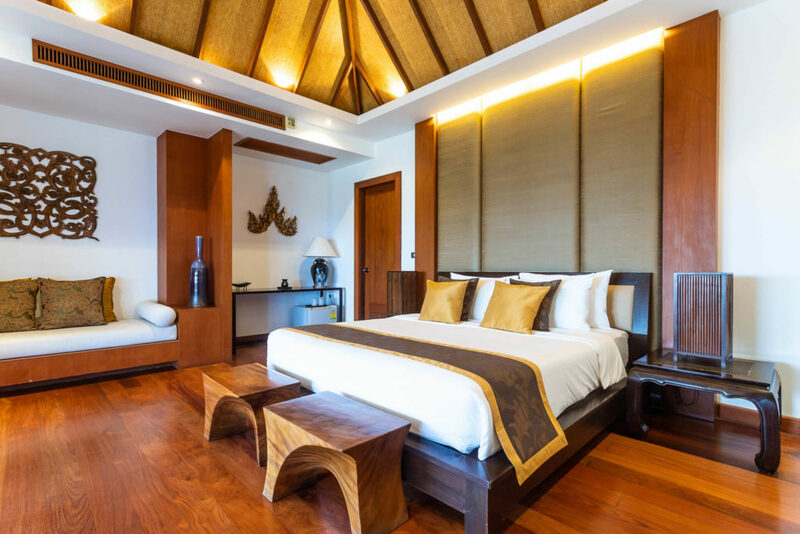 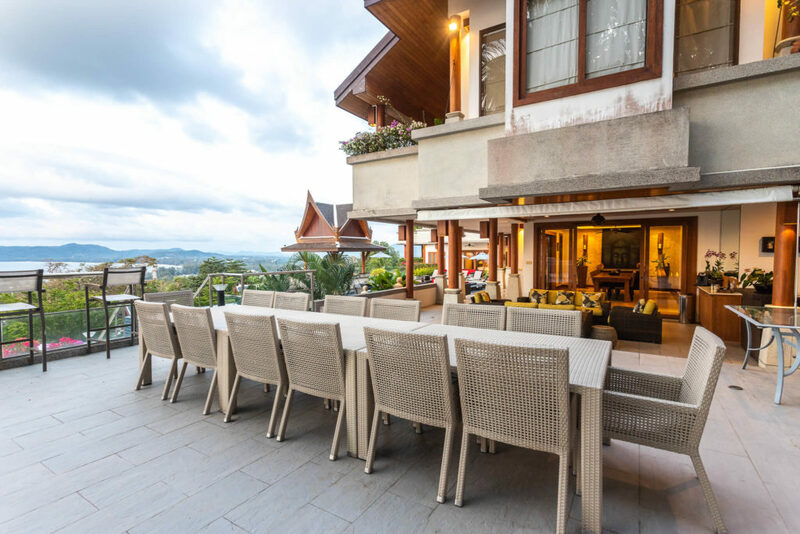 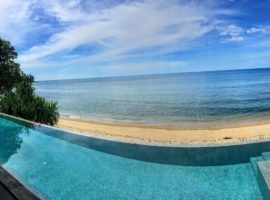 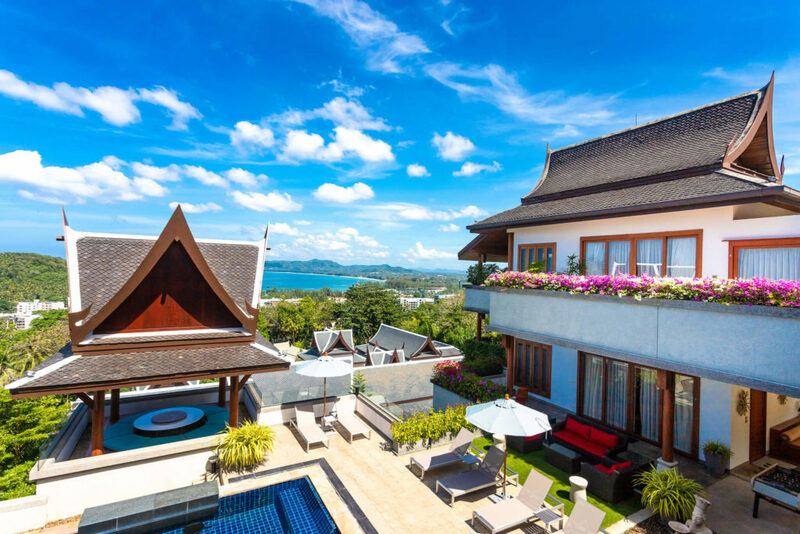 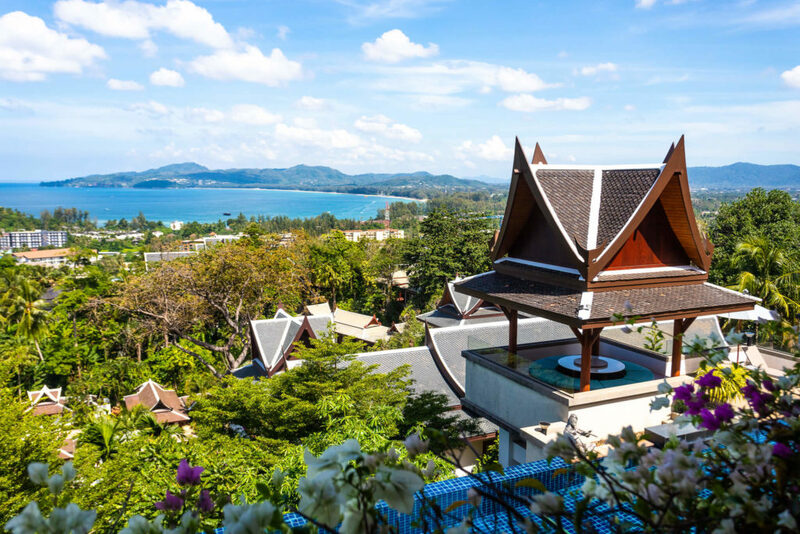 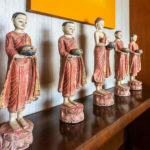 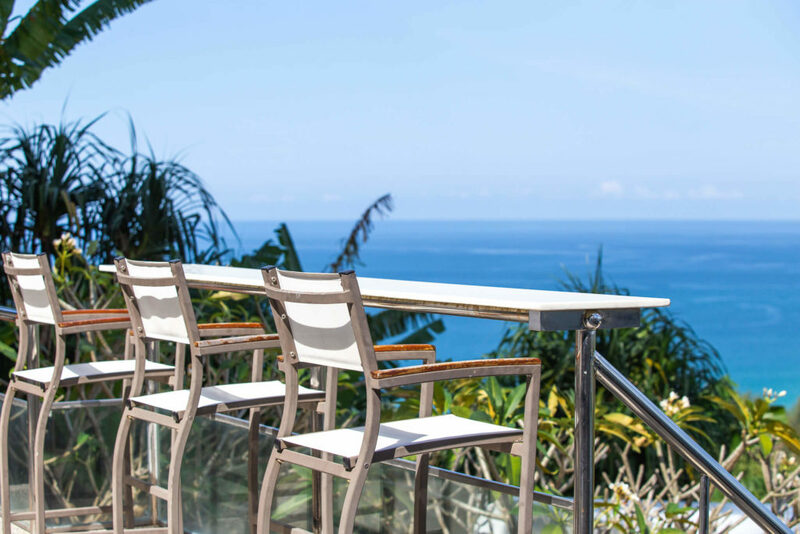 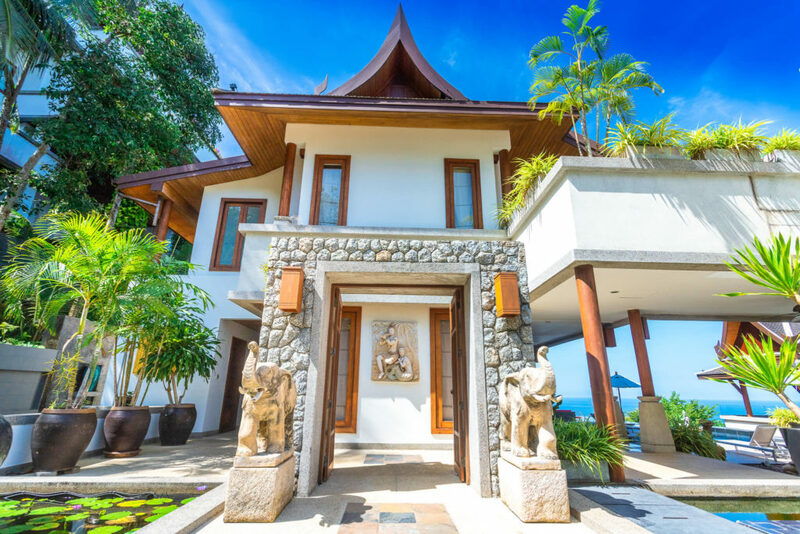 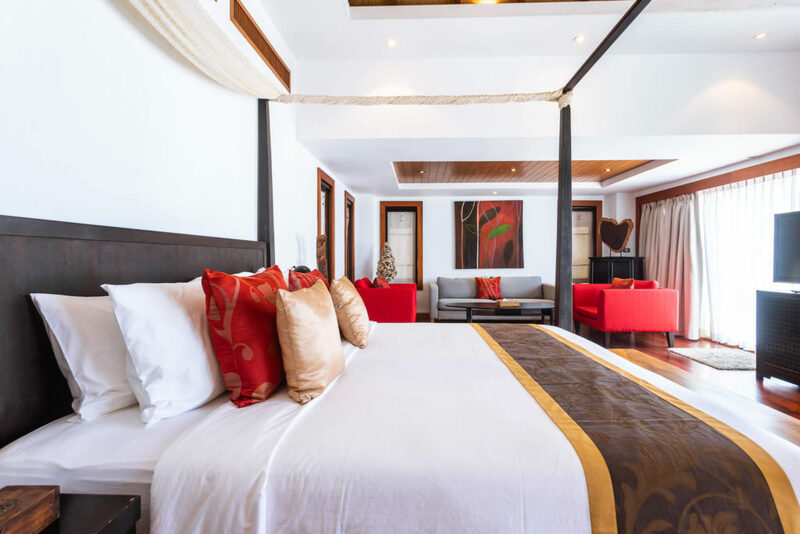 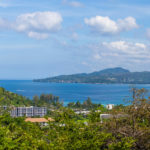 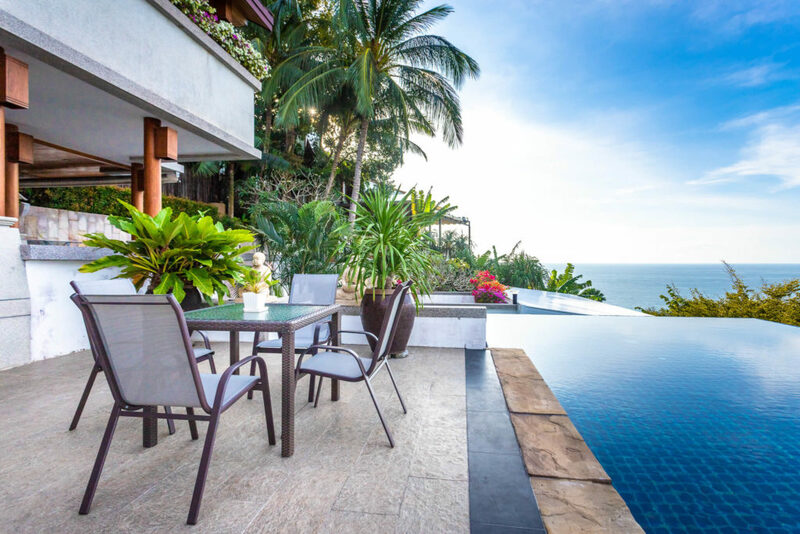 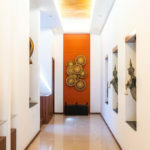 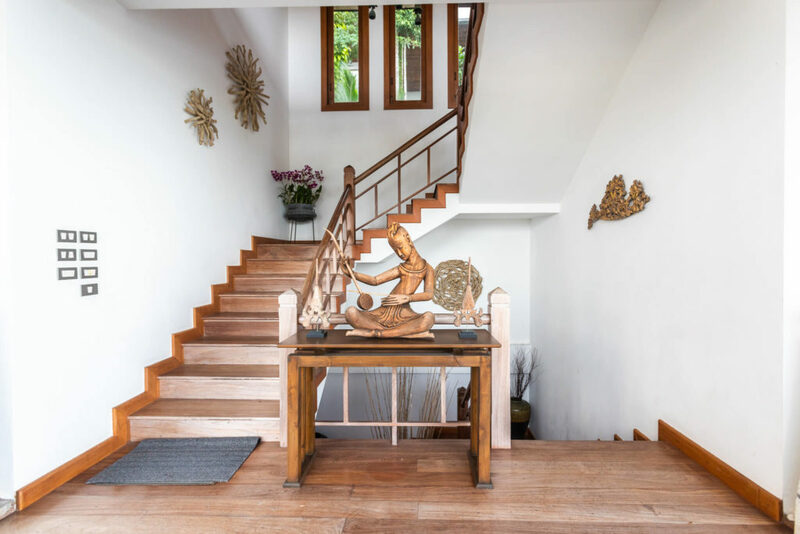 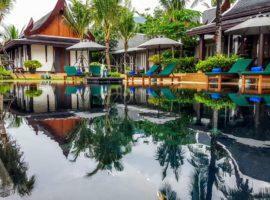 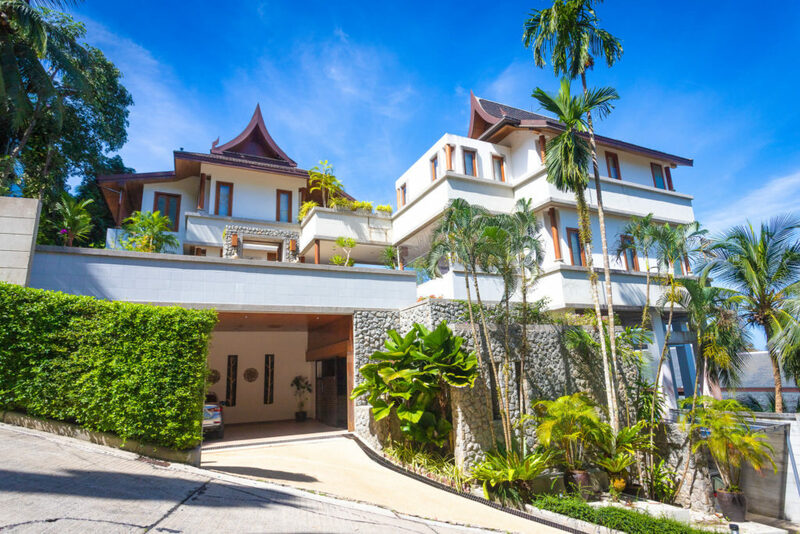 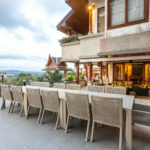 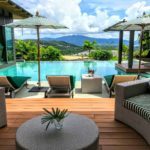 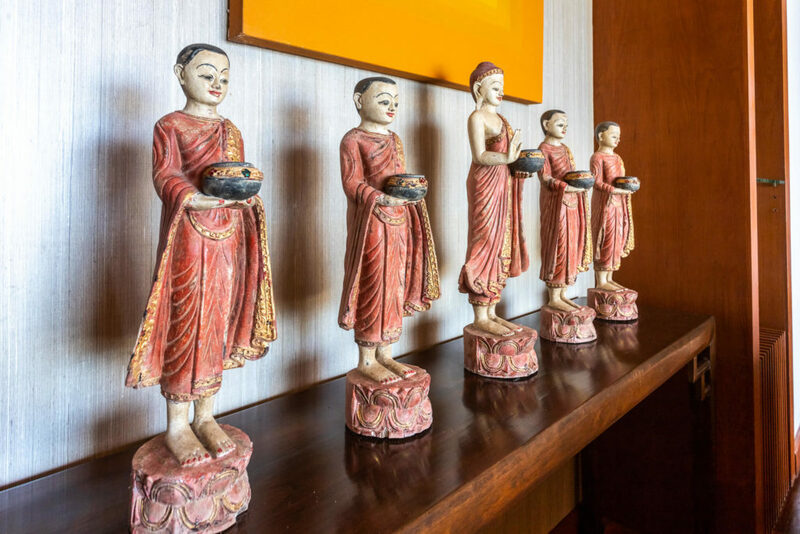 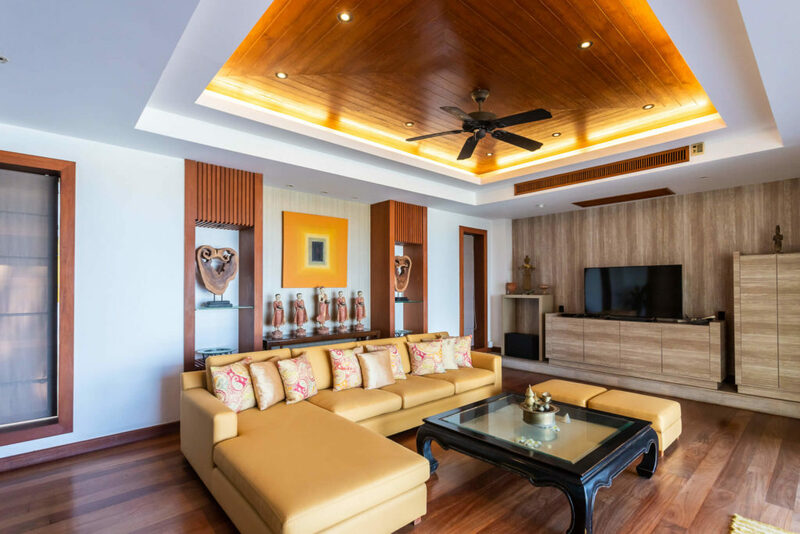 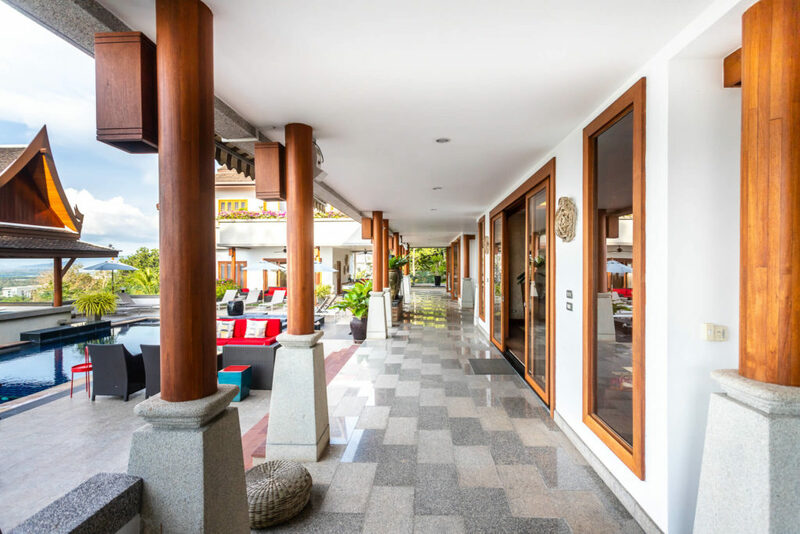 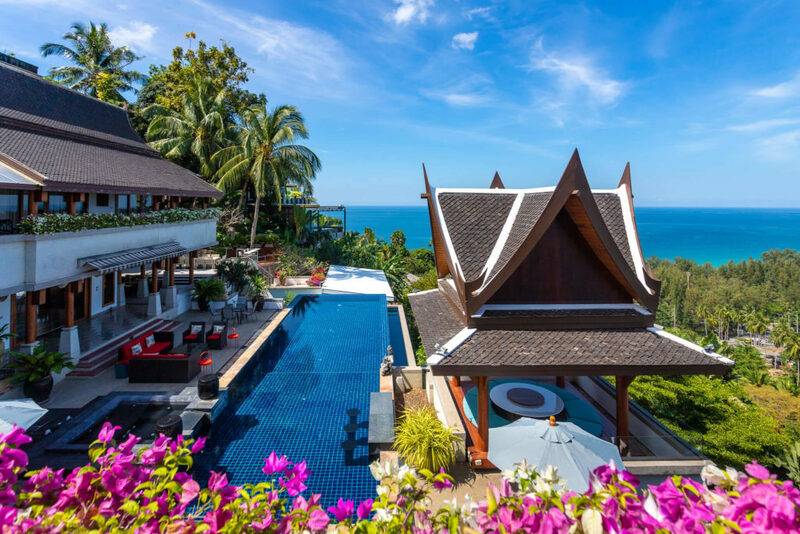 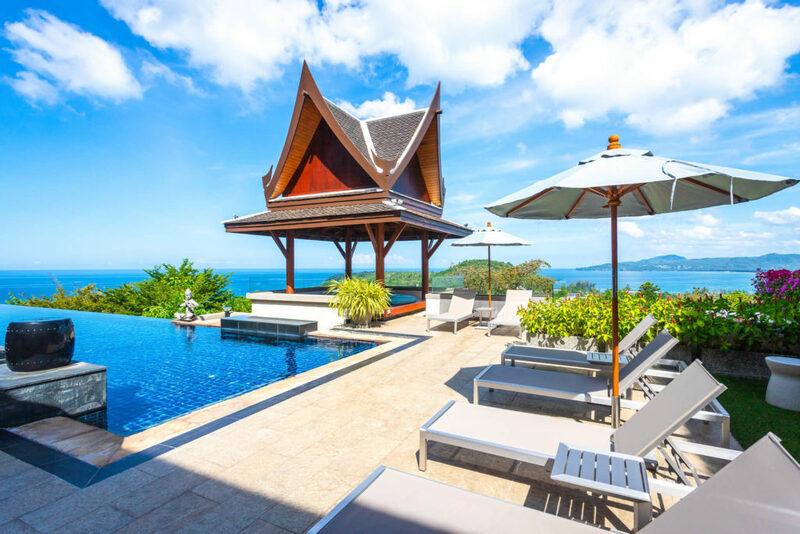 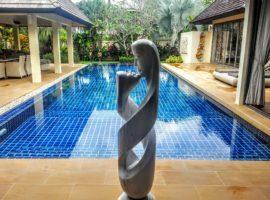 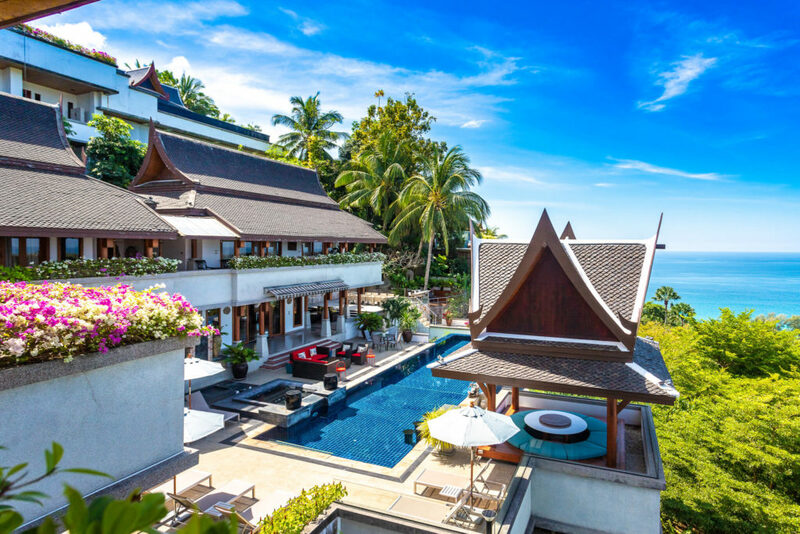 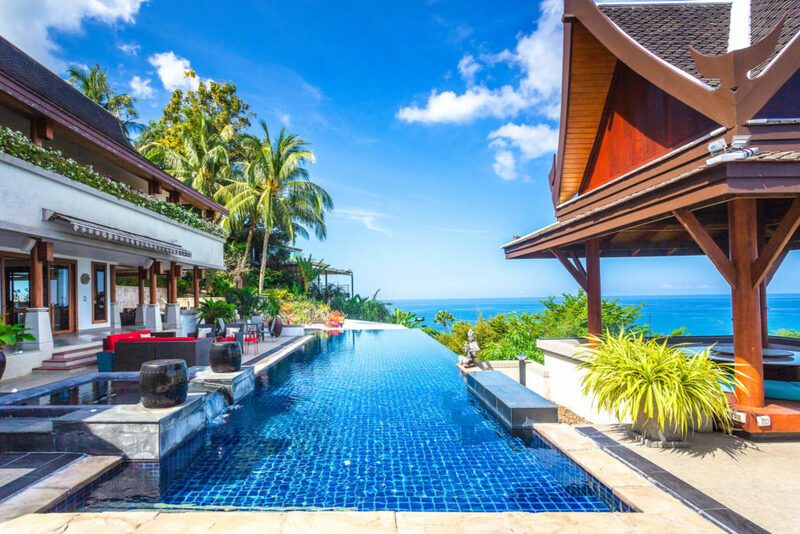 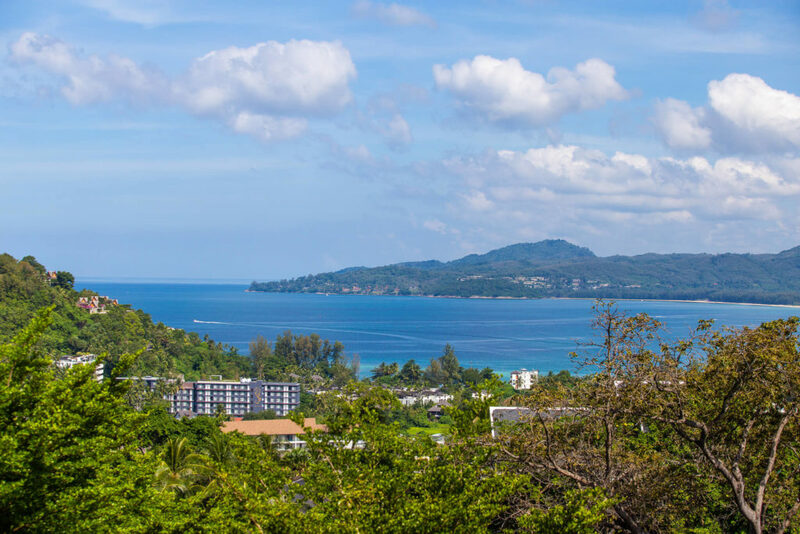 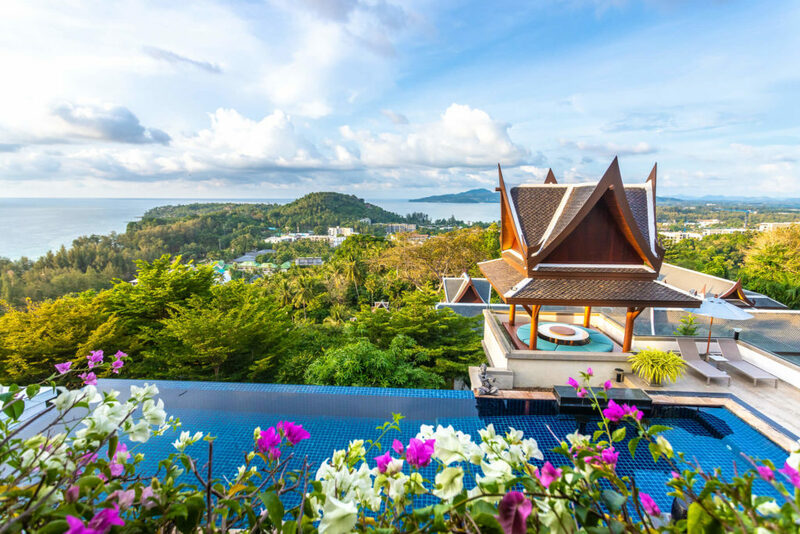 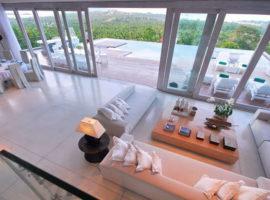 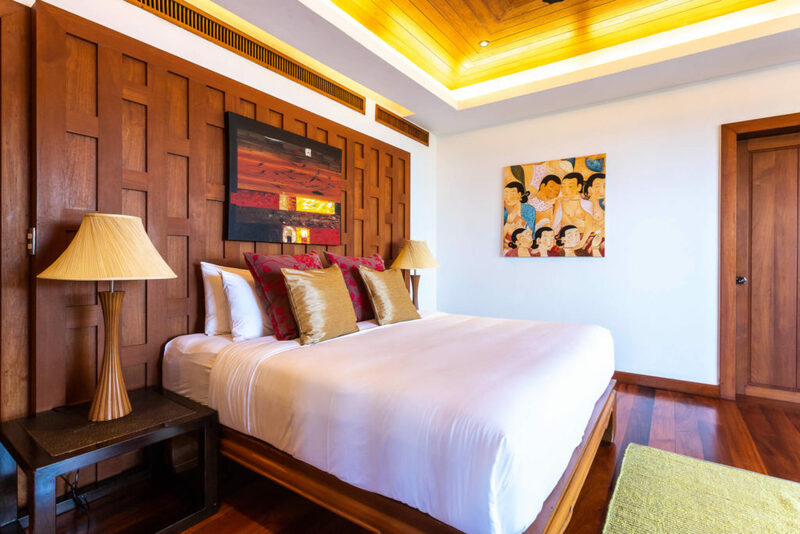 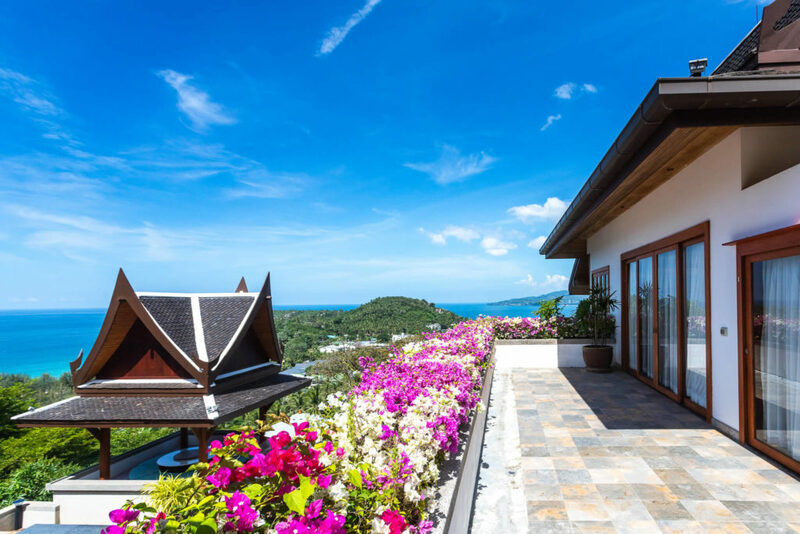 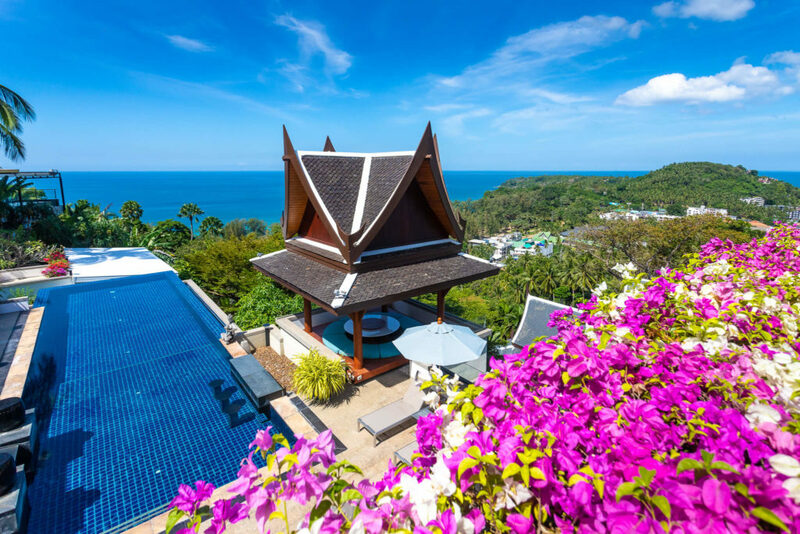 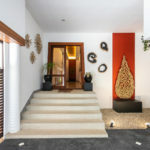 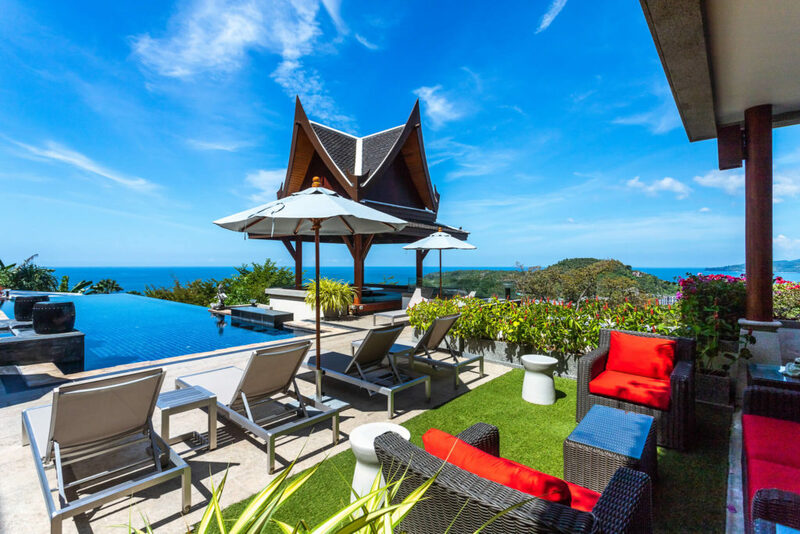 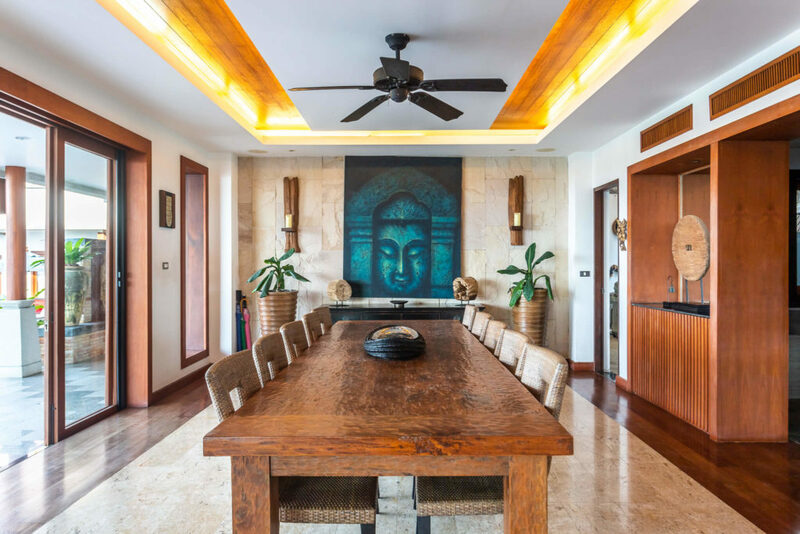 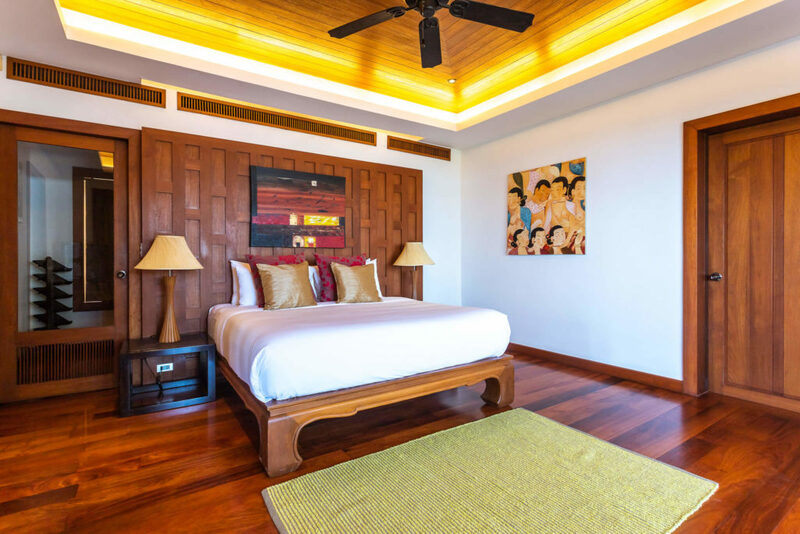 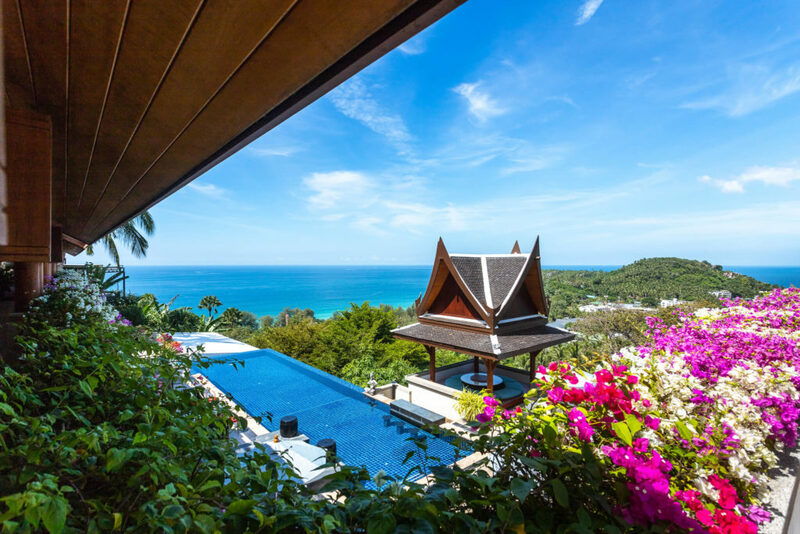 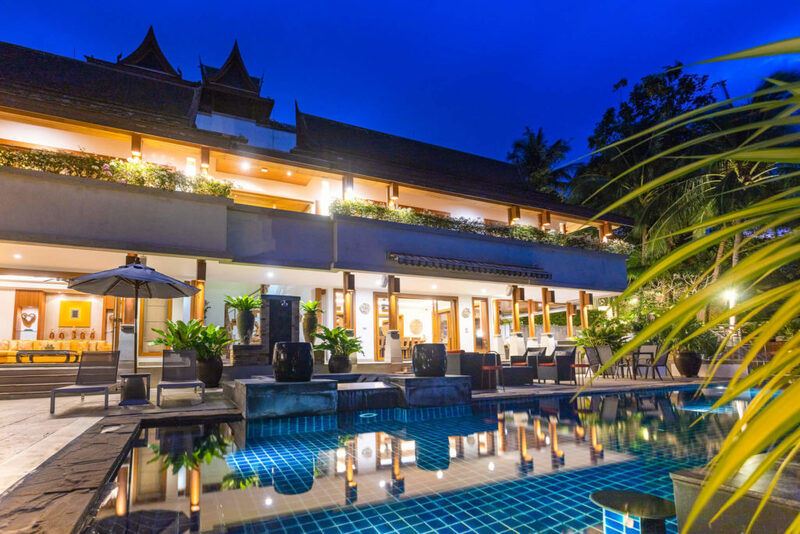 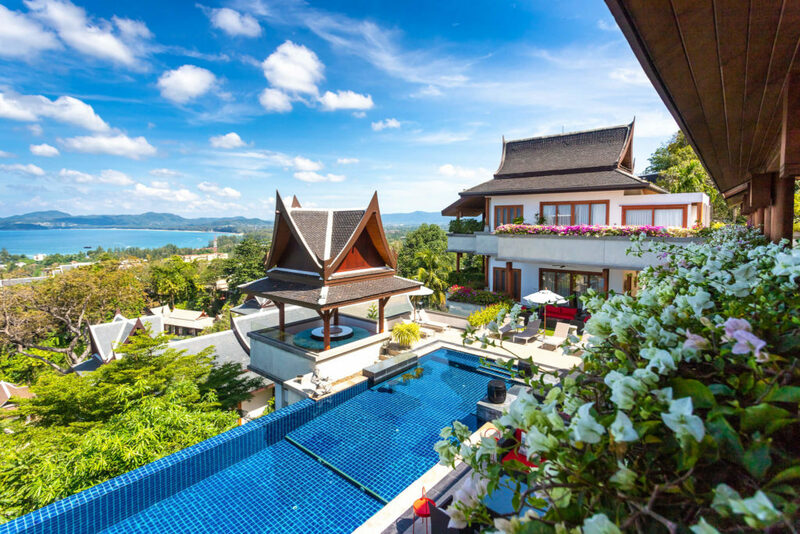 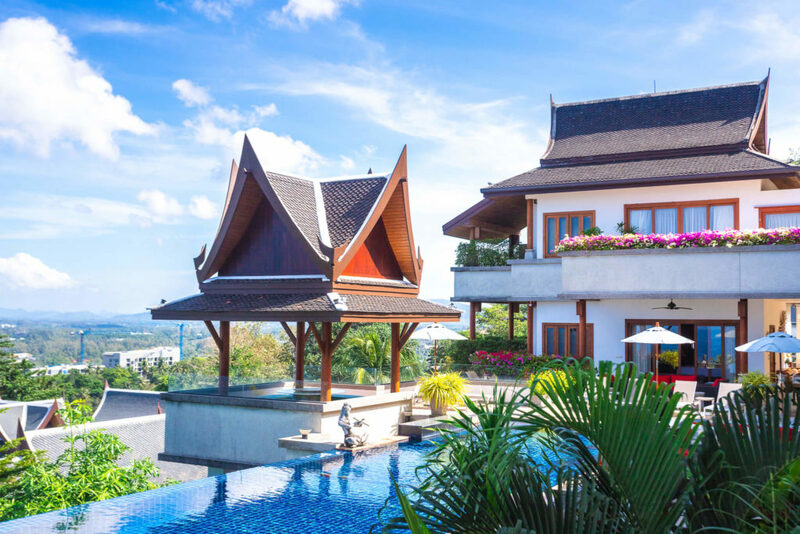 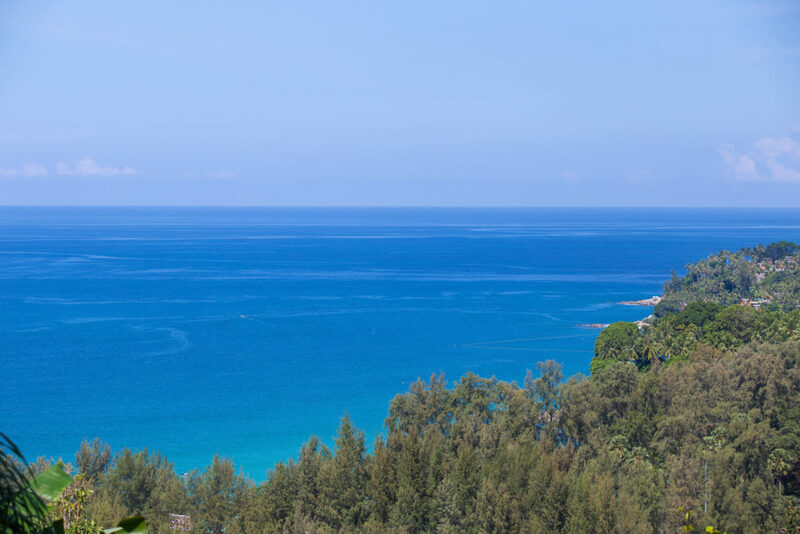 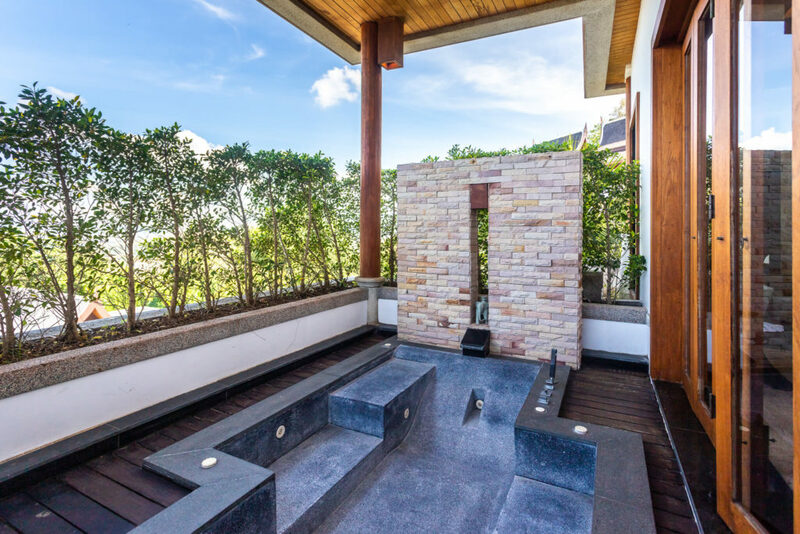 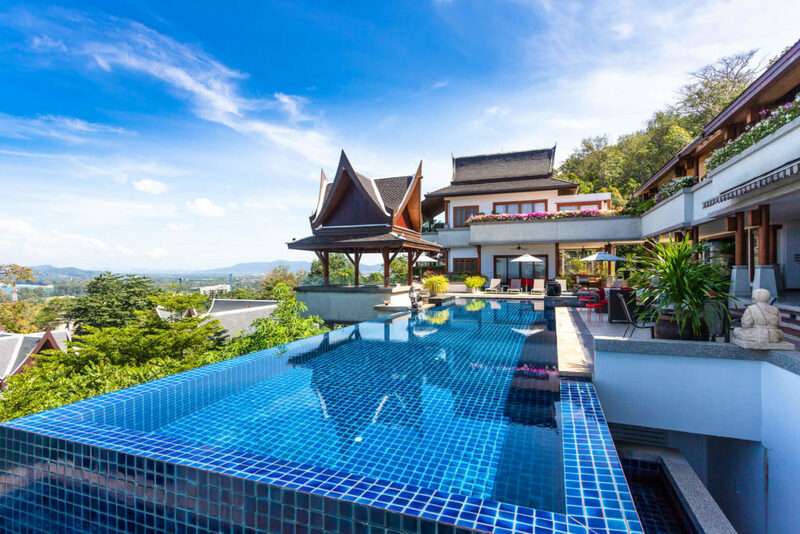 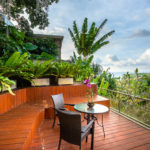 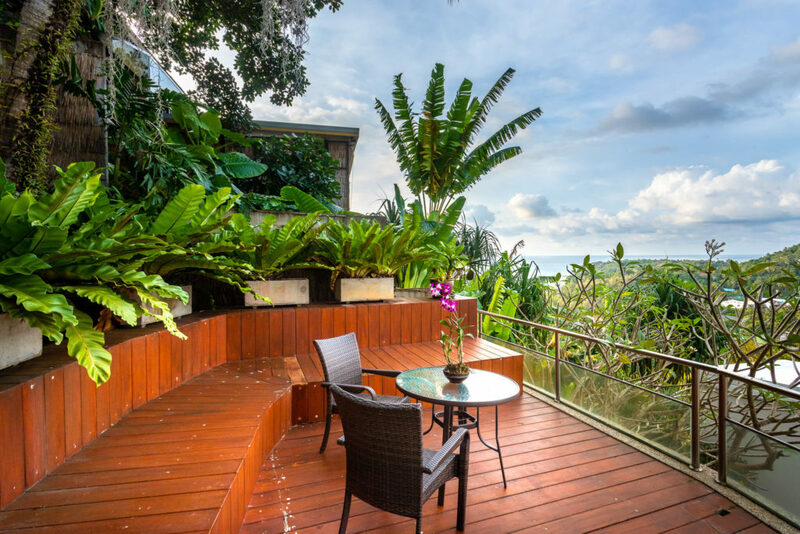 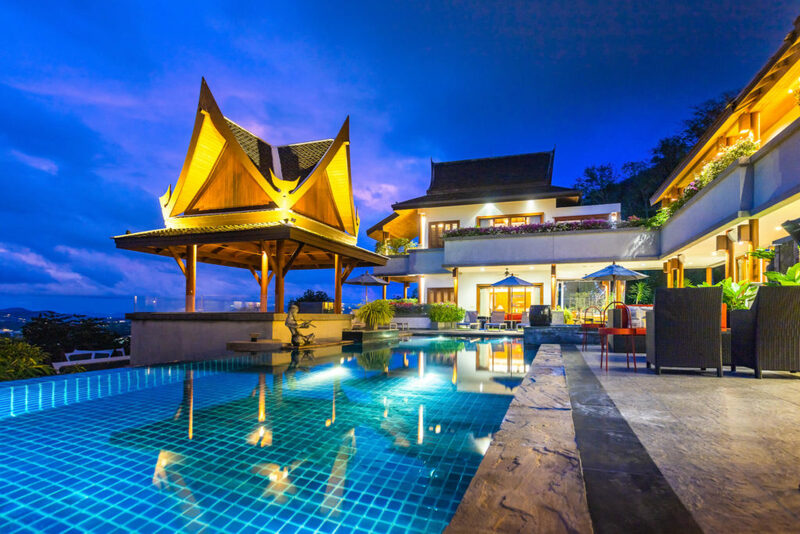 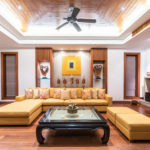 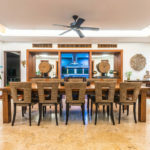 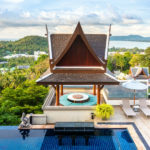 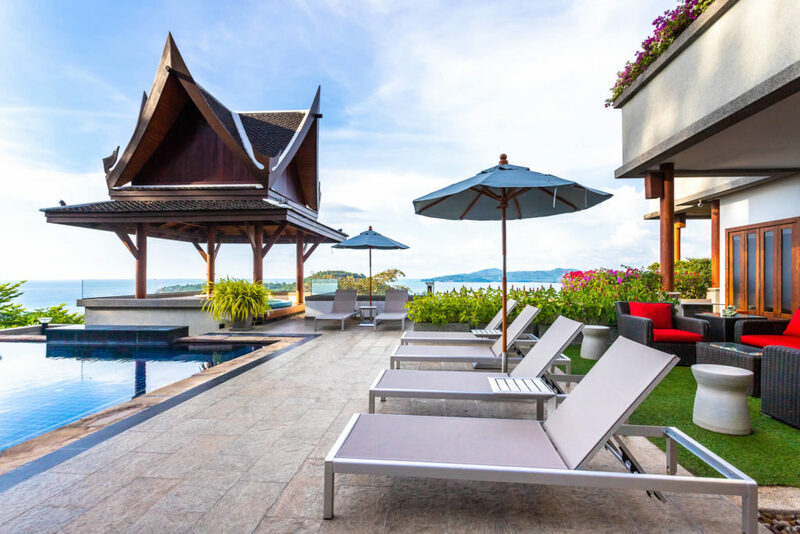 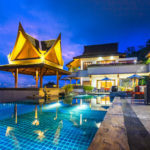 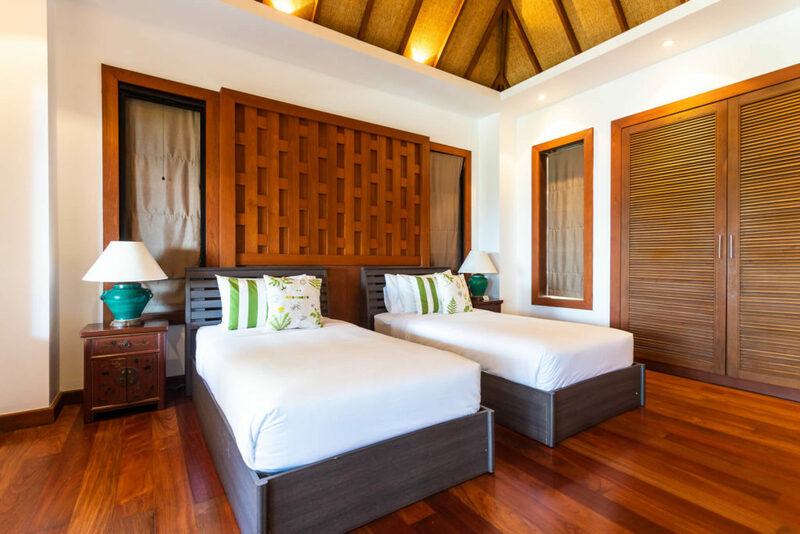 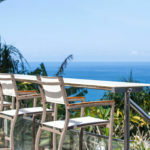 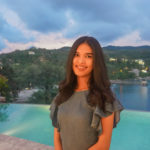 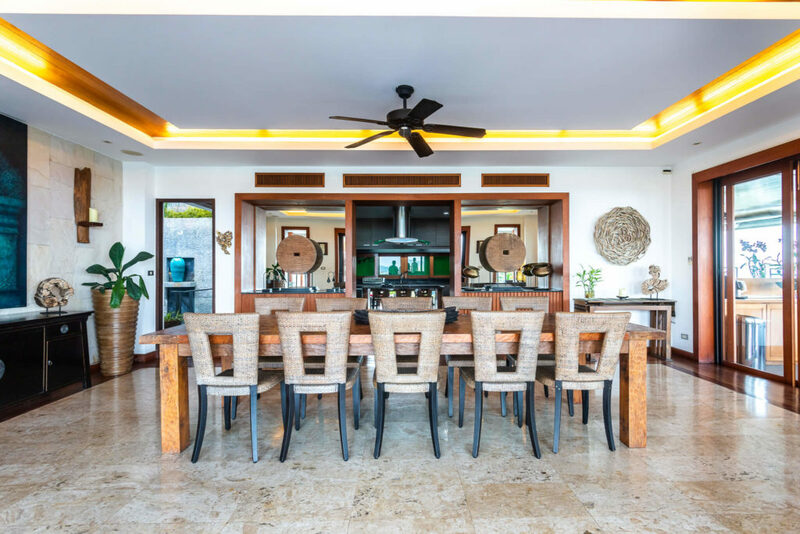 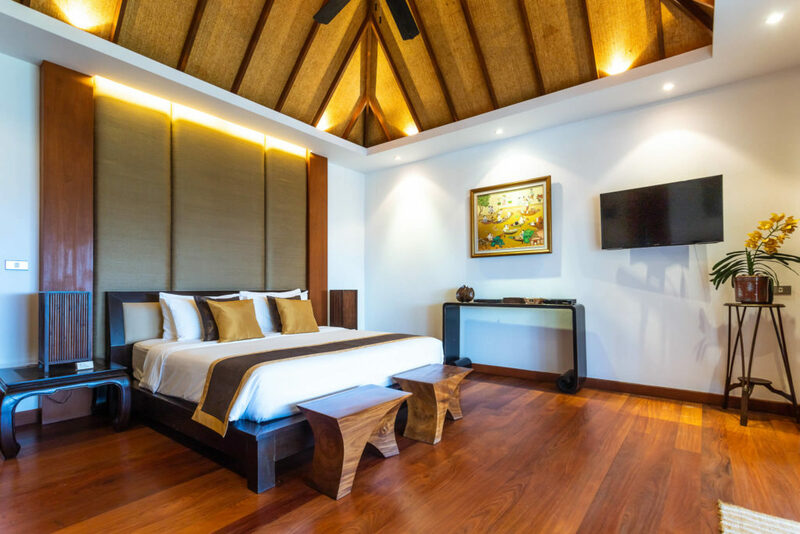 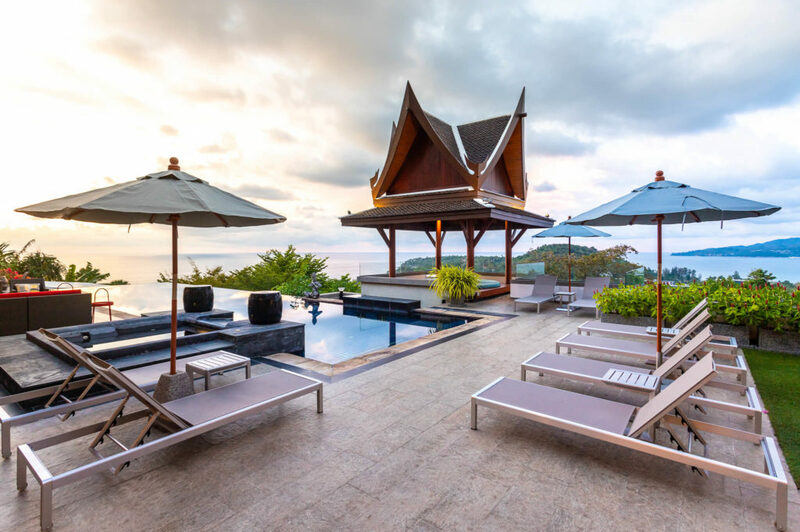 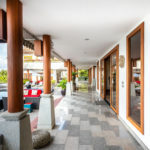 The villa offers panoramic views of Surin Beach, as well as Bang Tao Beach. 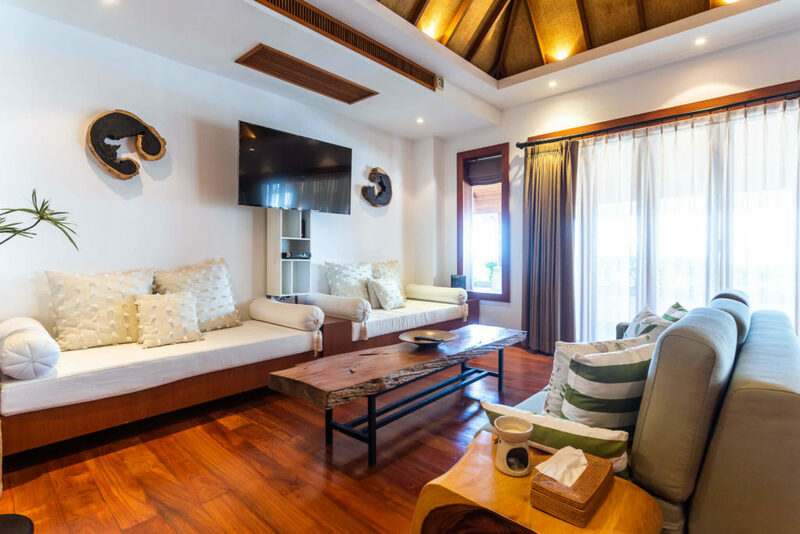 Five suites include double beds and a living room. 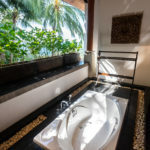 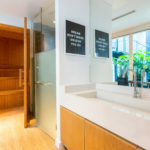 On the upper level there are four bathrooms, three of which have two sinks, a separate jacuzzi bath and shower, and the fourth has a shower and two sinks. 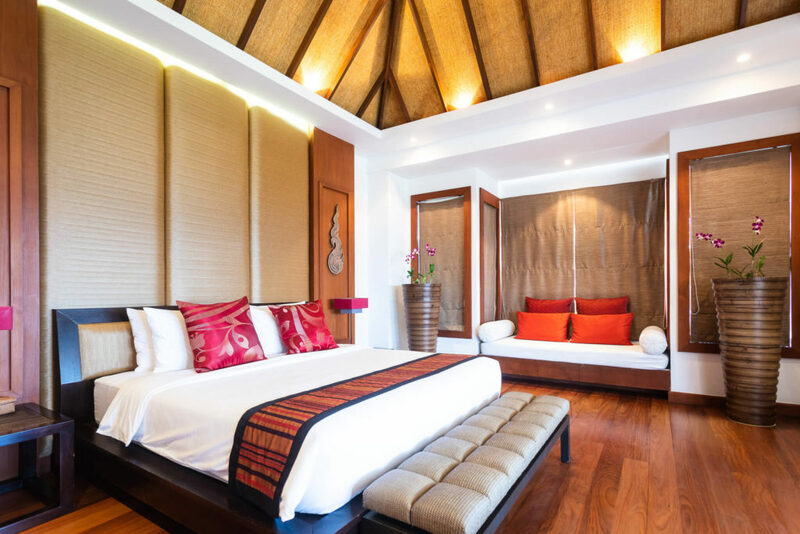 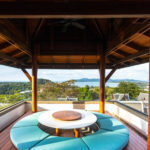 All bedrooms can be accessed from the covered terrace. 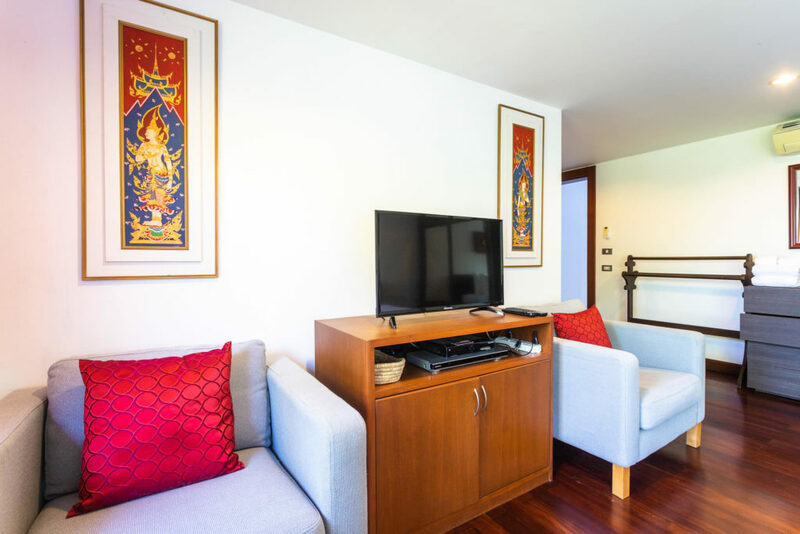 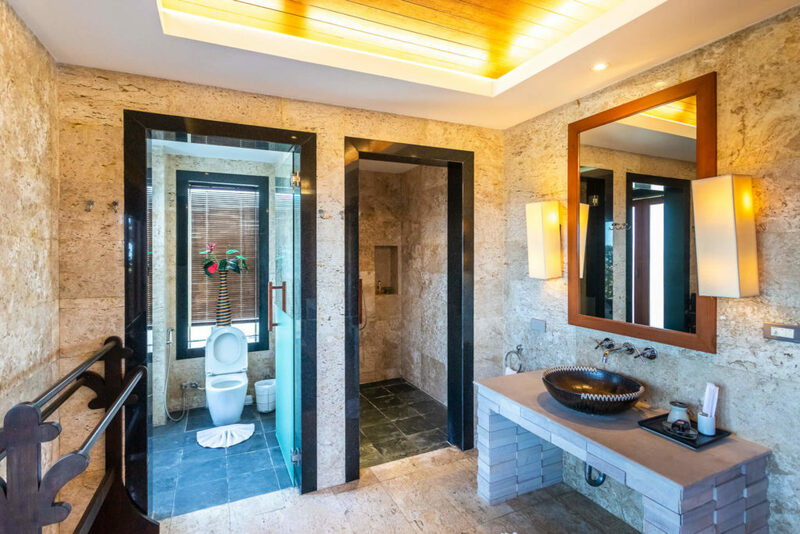 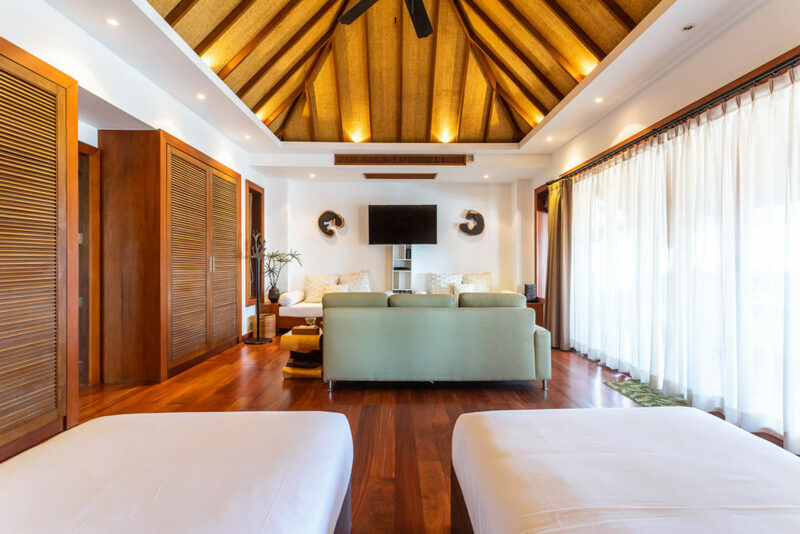 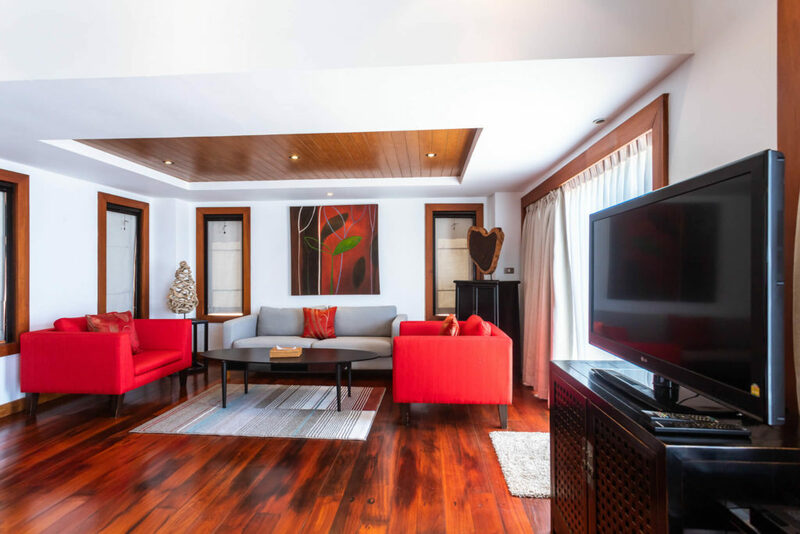 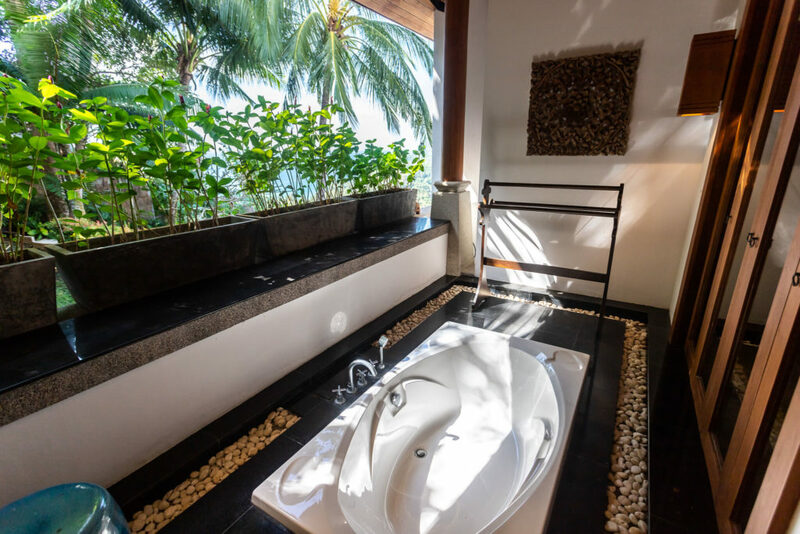 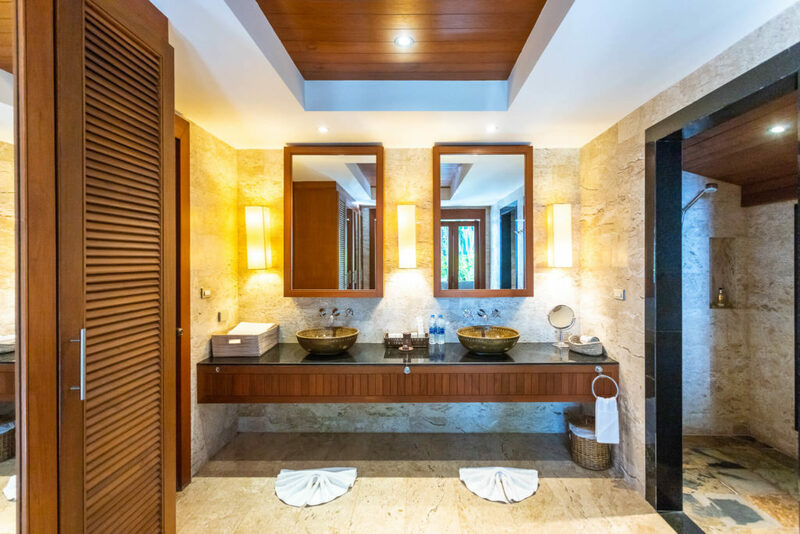 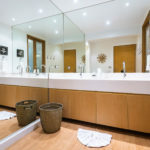 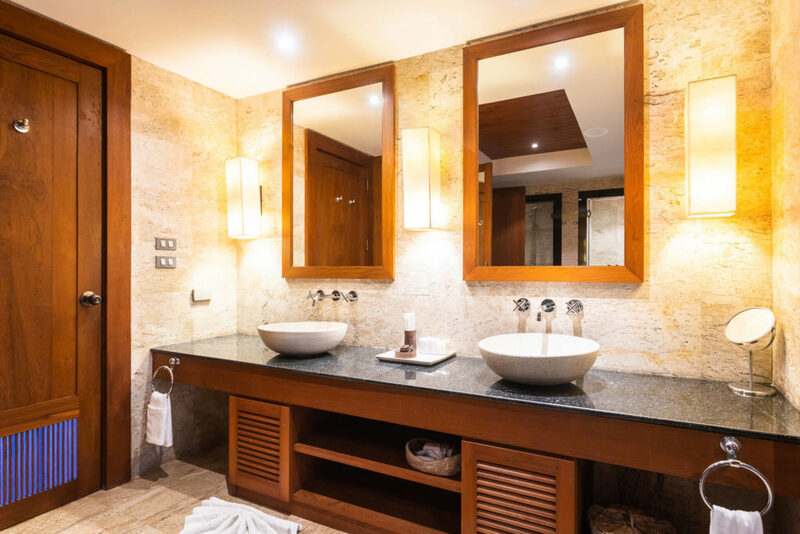 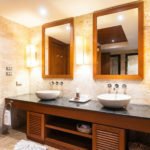 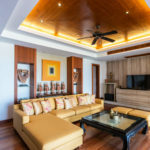 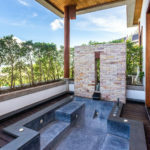 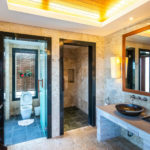 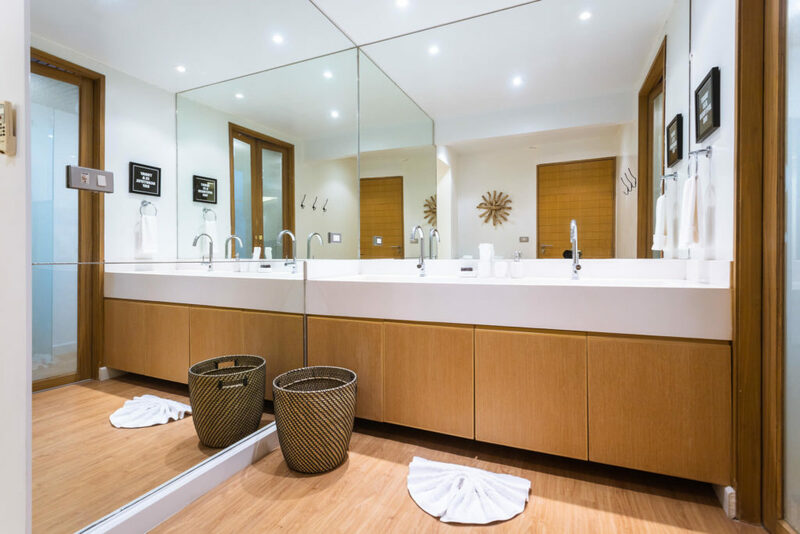 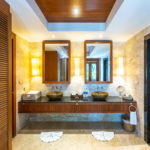 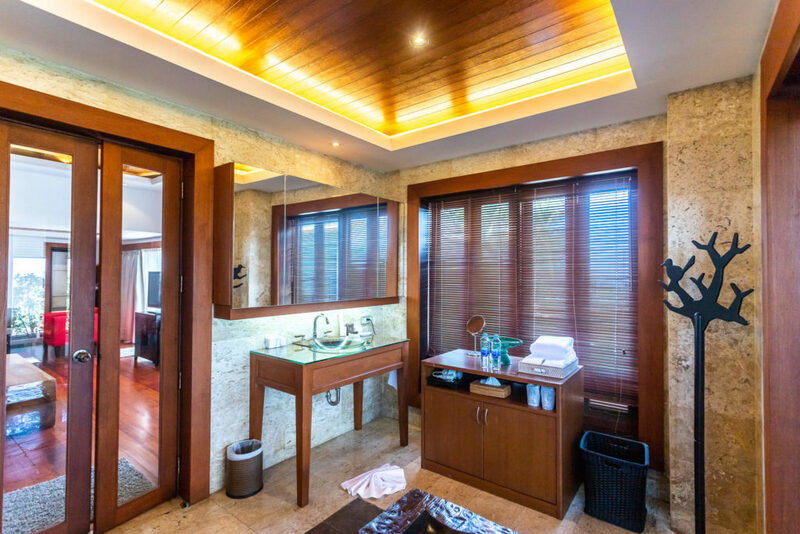 The fifth suite is located at the pool level and includes a very, private bathroom with a separate jacuzzi, shower, separate toilet and two sinks. 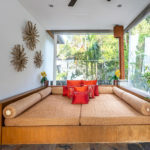 To the side of this bedroom is the outside covered living room. 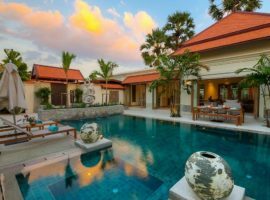 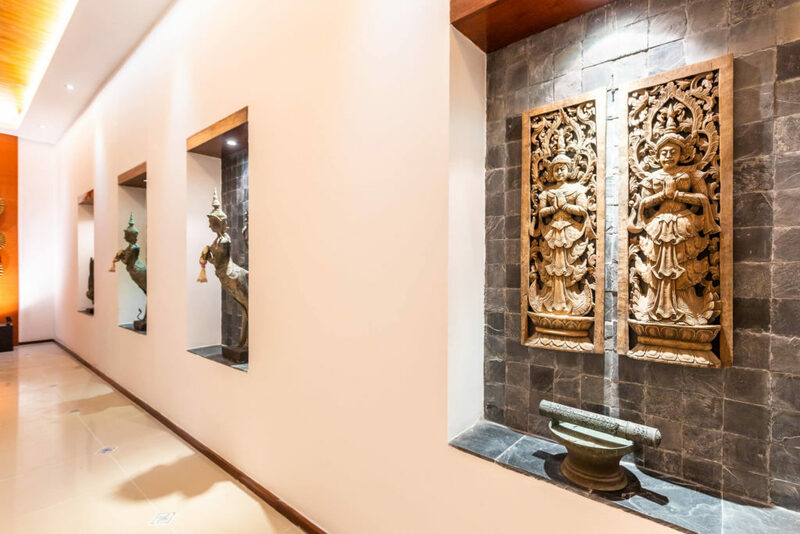 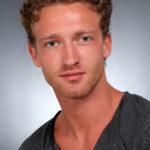 And ahead there is a pond with lotuses, and behind it – a pool, a terrace and sala. 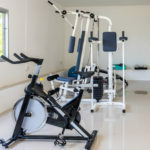 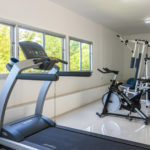 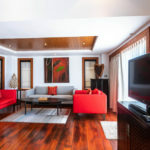 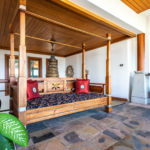 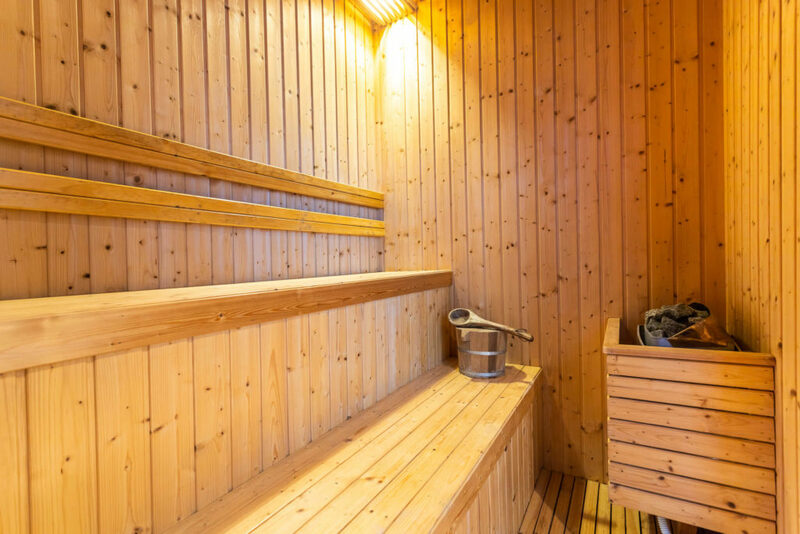 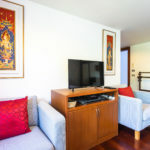 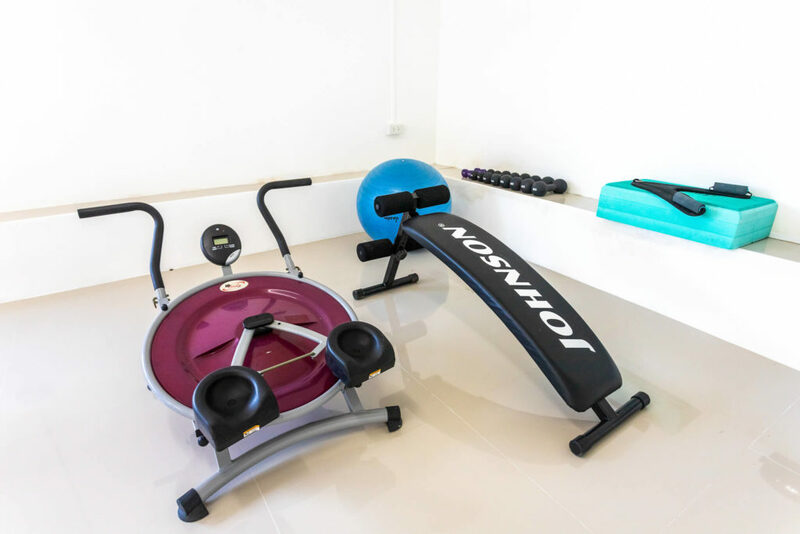 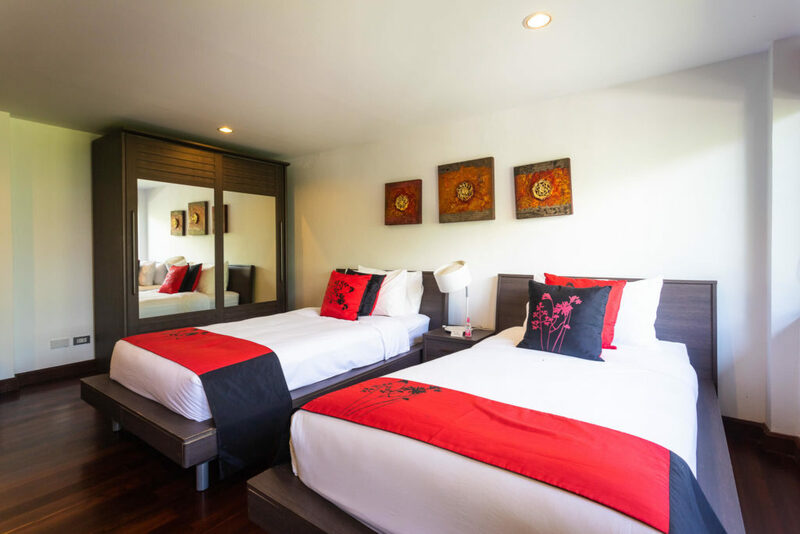 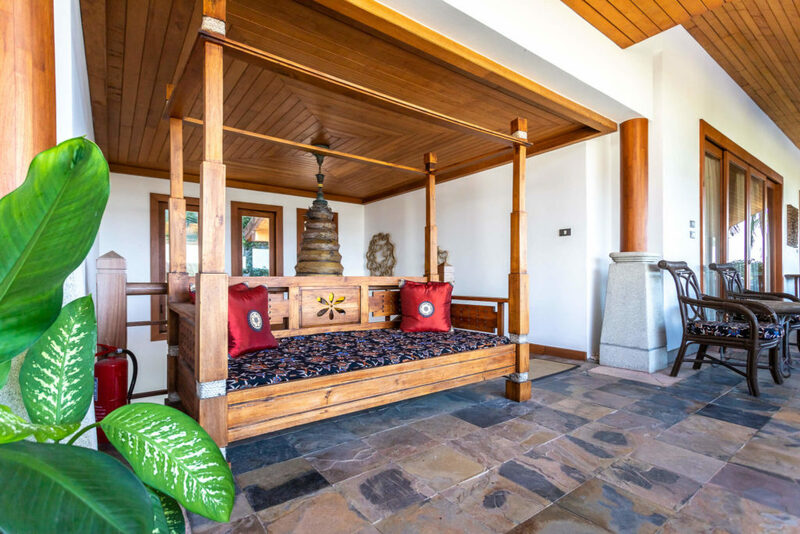 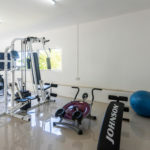 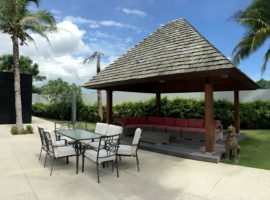 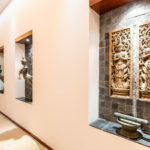 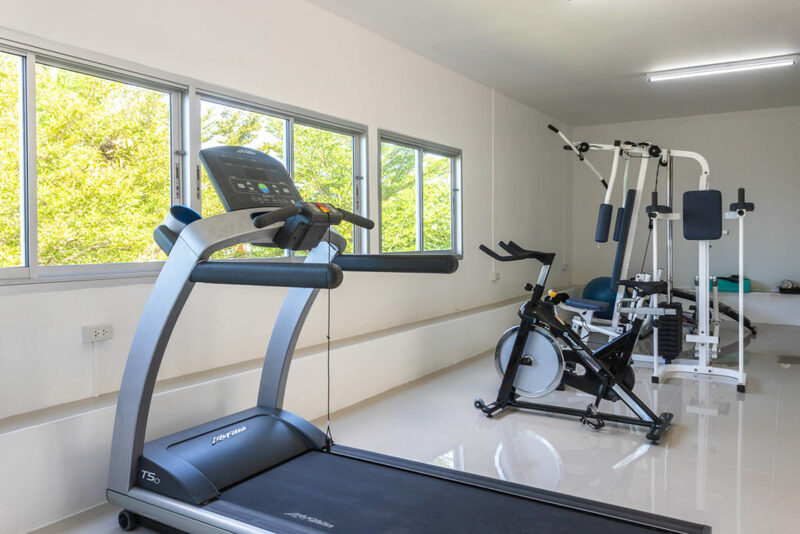 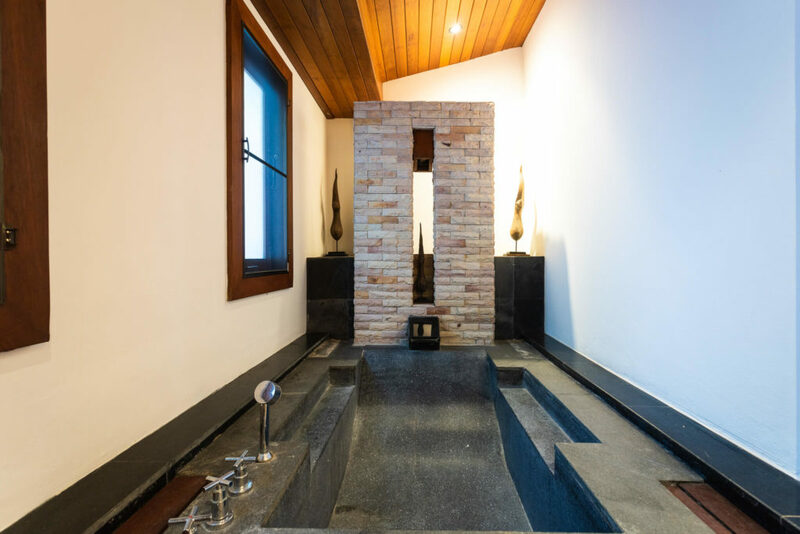 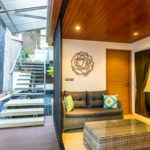 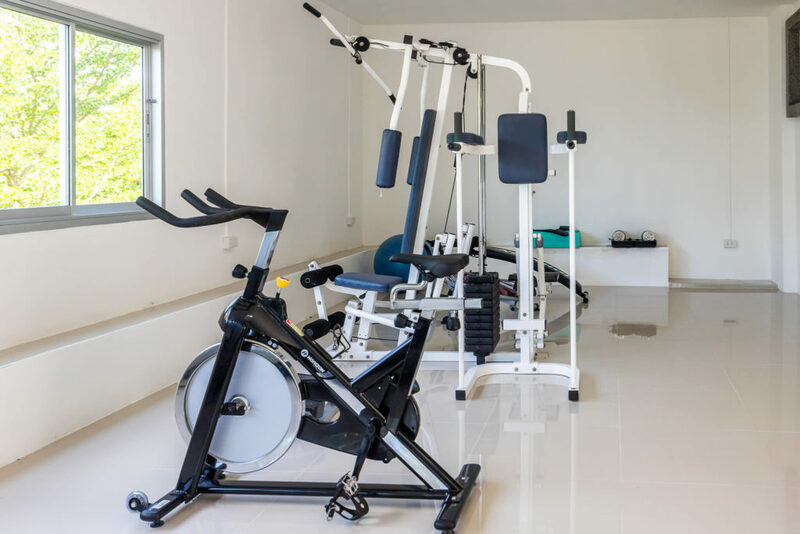 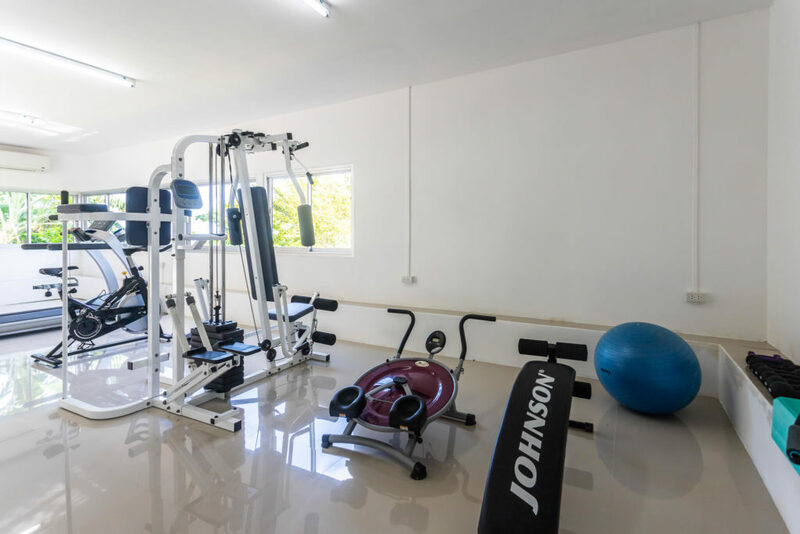 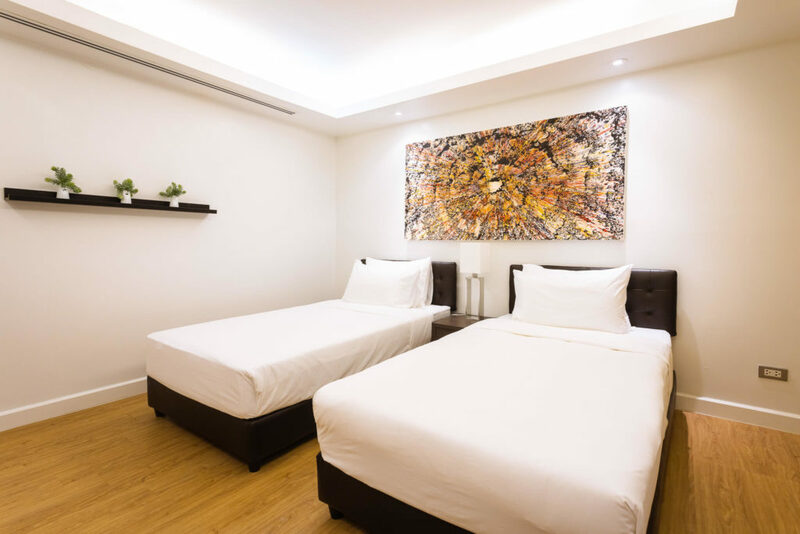 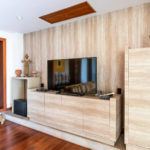 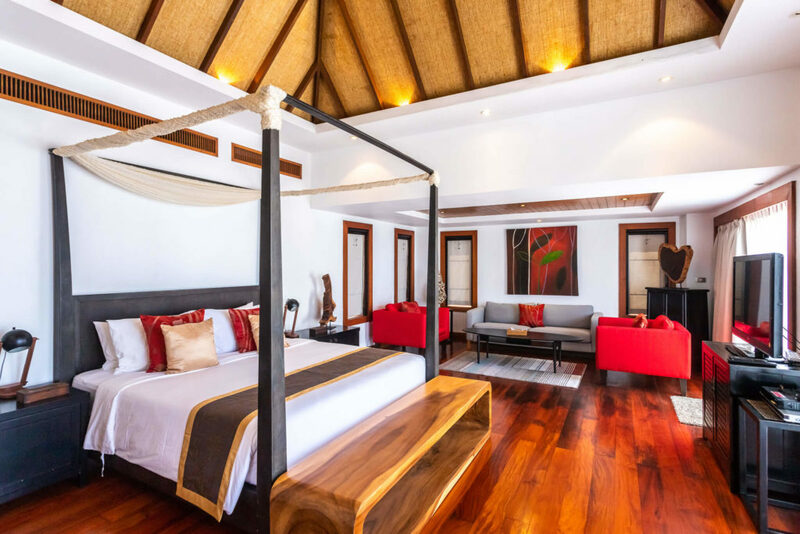 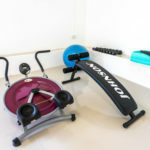 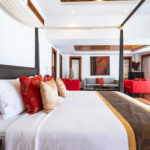 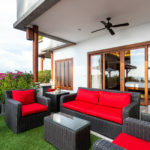 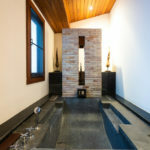 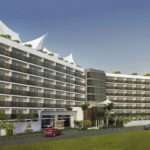 Also, two other bedrooms can be installed on request, in the same room if you replace the massage room with two single beds and the second bedroom is located under the pool with 1 king-size bed, both with bathroom with shower. 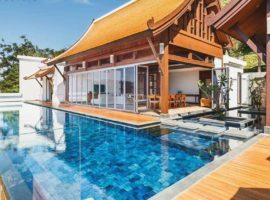 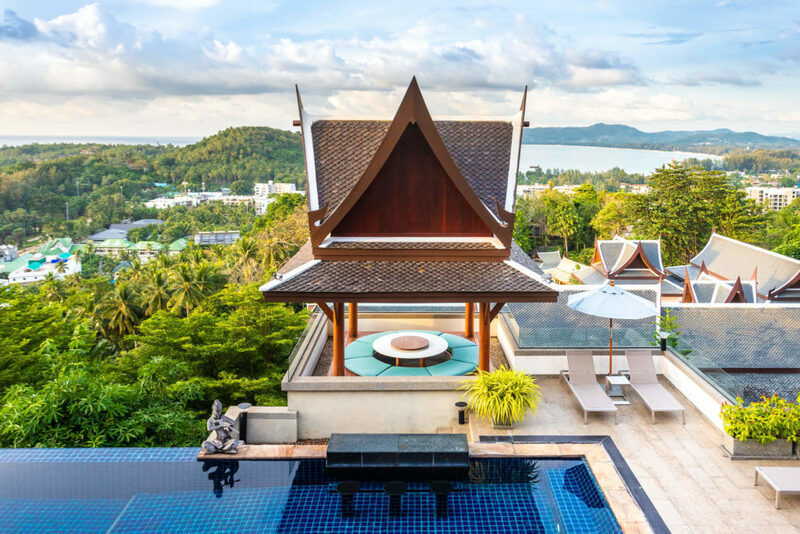 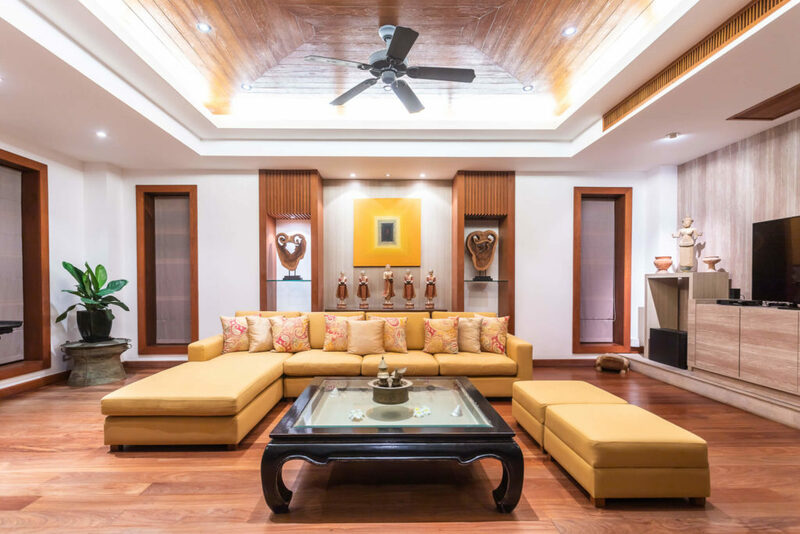 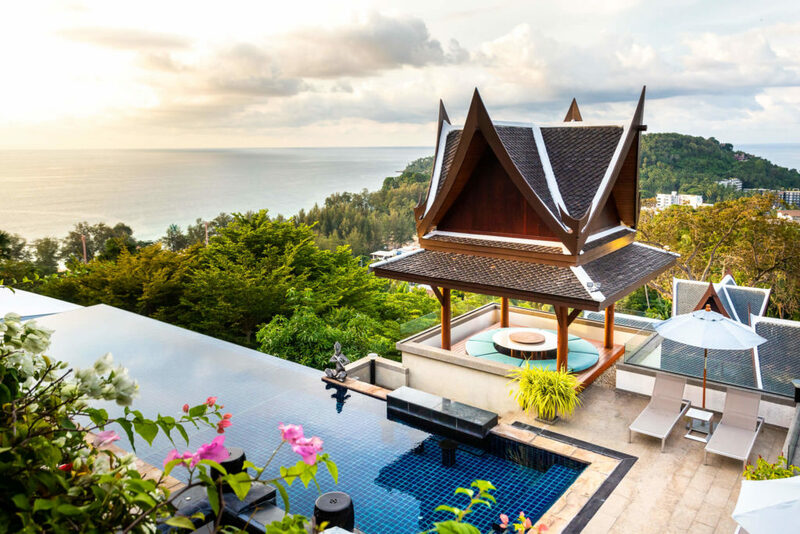 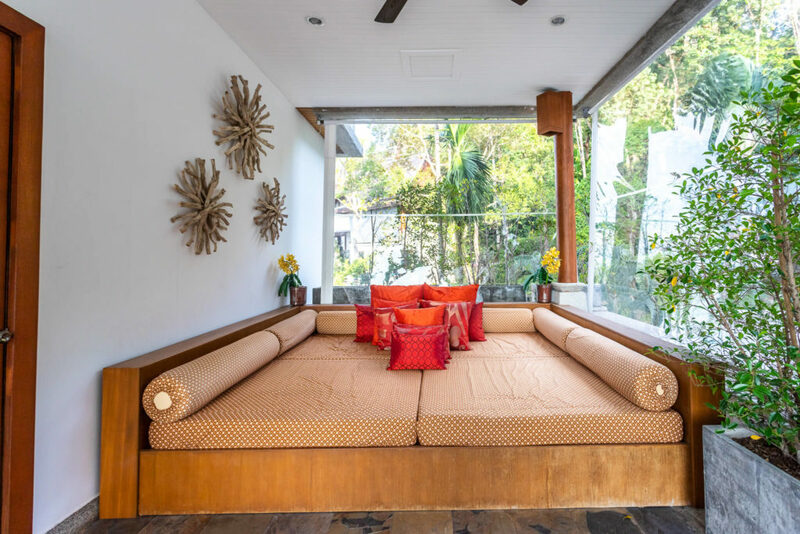 The living area in its own pavilion overlooks the pool terrace and includes high-quality furniture and elements of Thai decor. 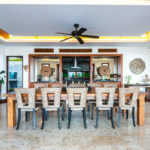 The dining area can accommodate up to 14 people. 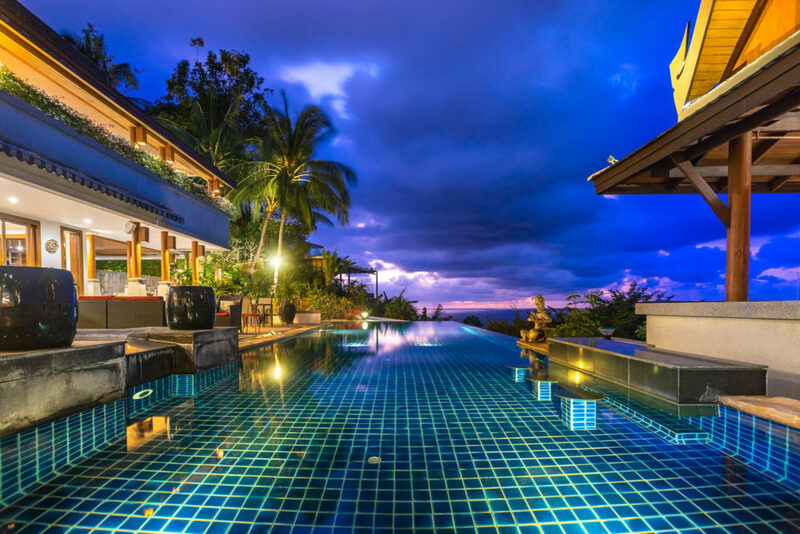 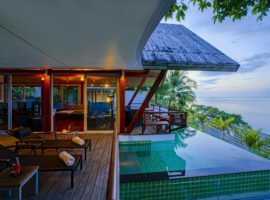 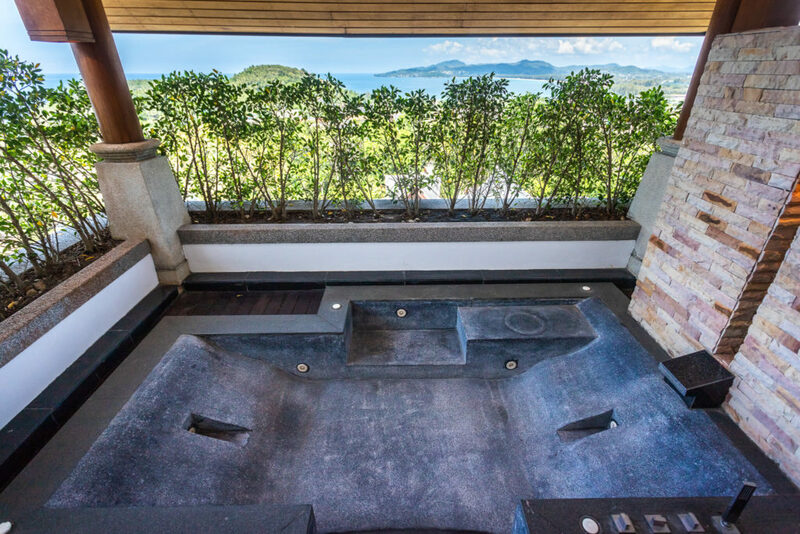 The infinity pool includes a built-in bar, a sala and a separate jacuzzi.